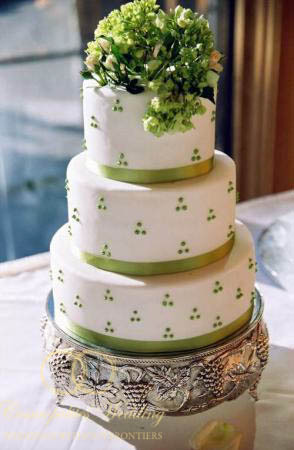 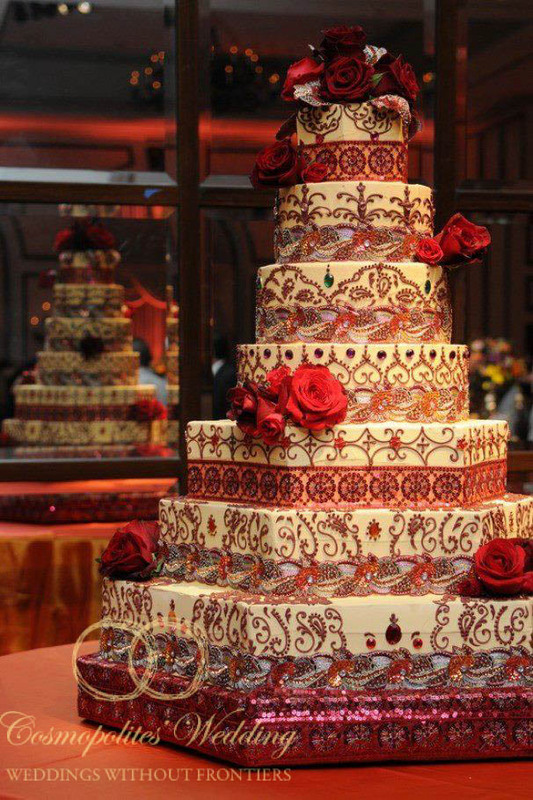 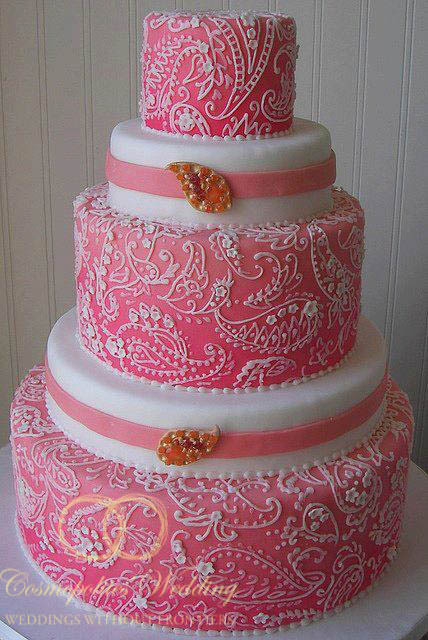 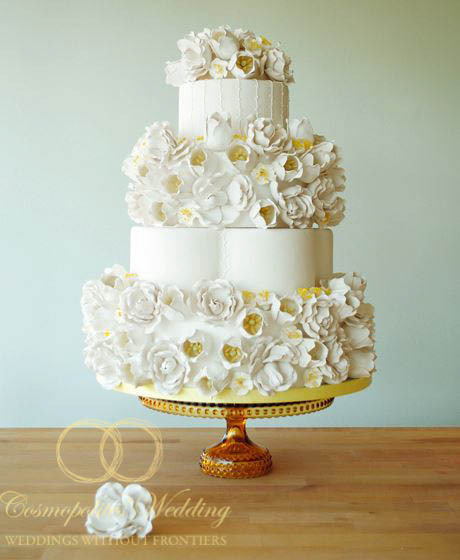 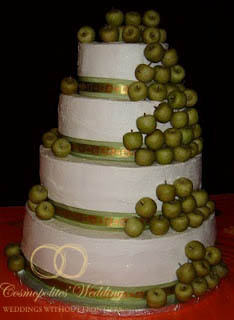 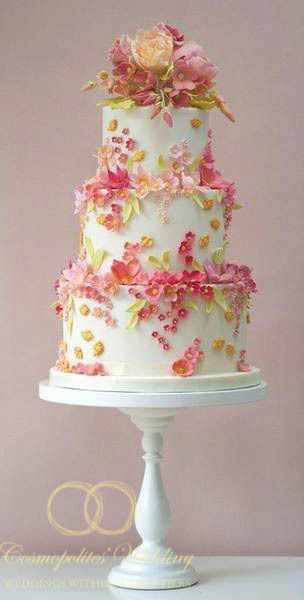 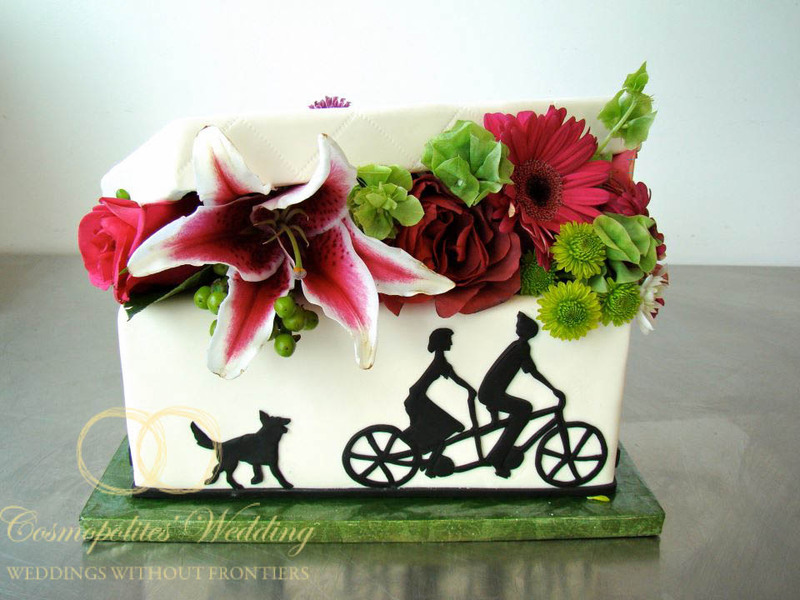 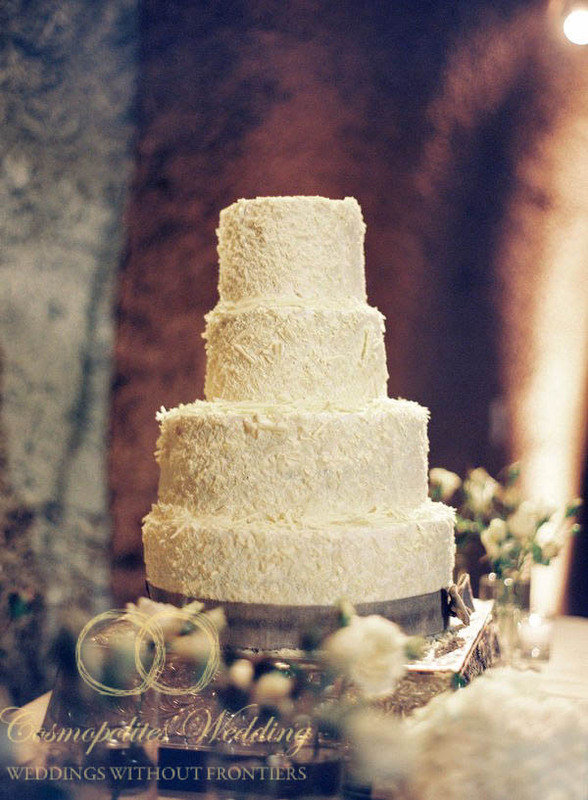 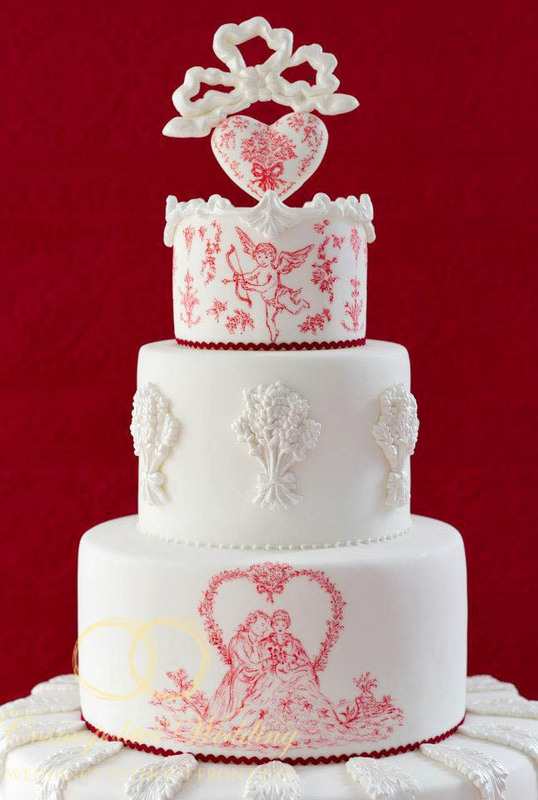 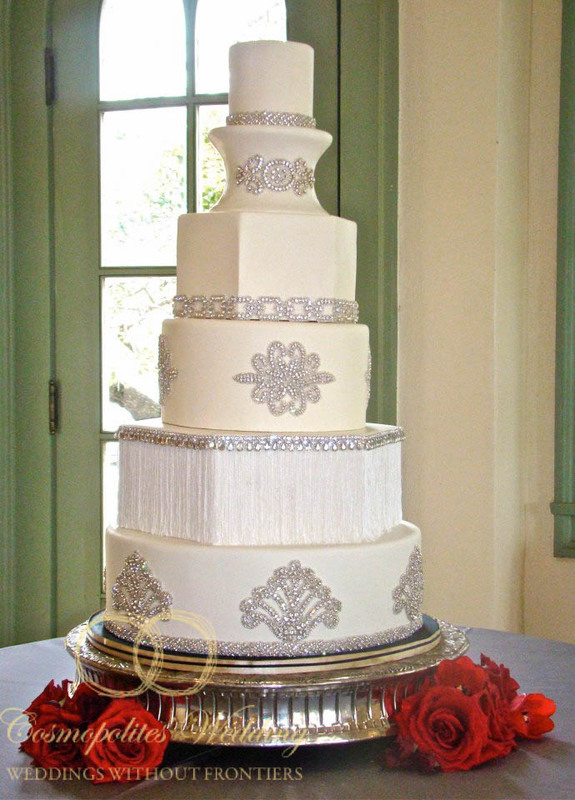 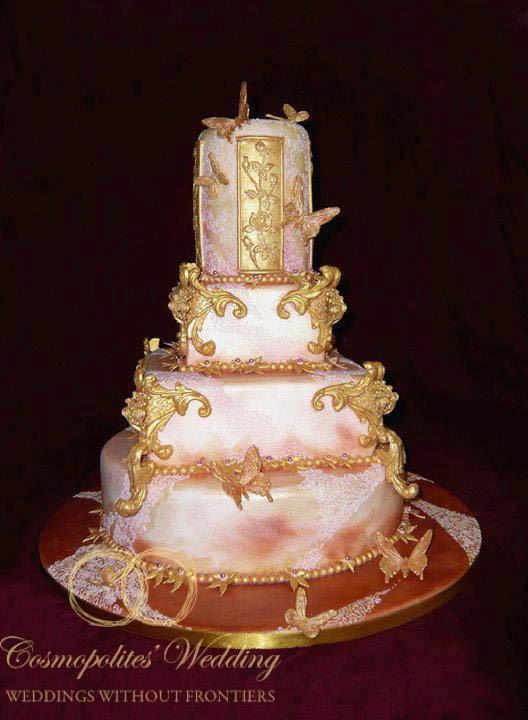 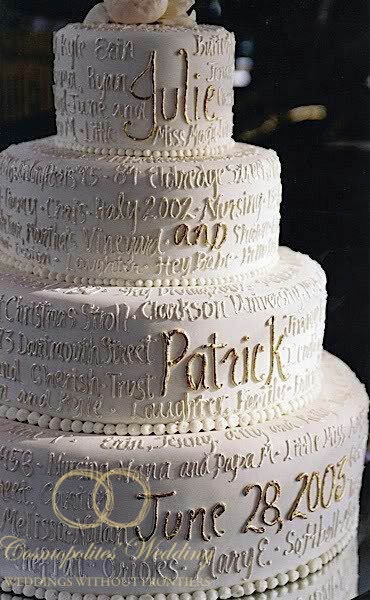 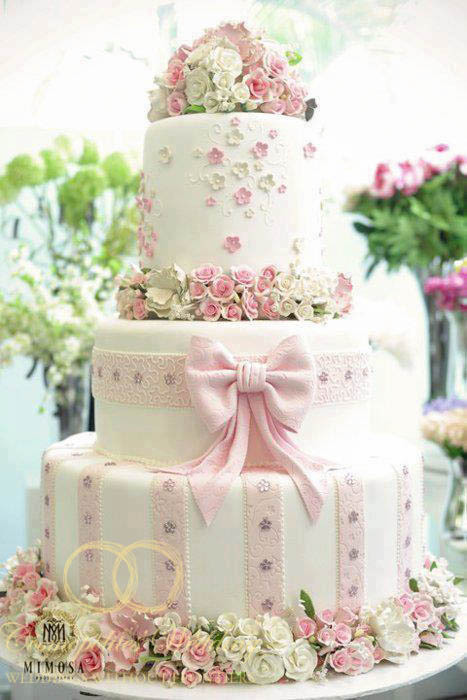 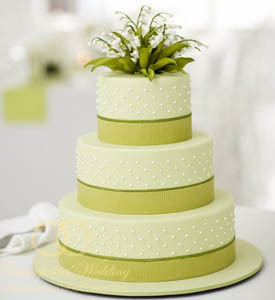 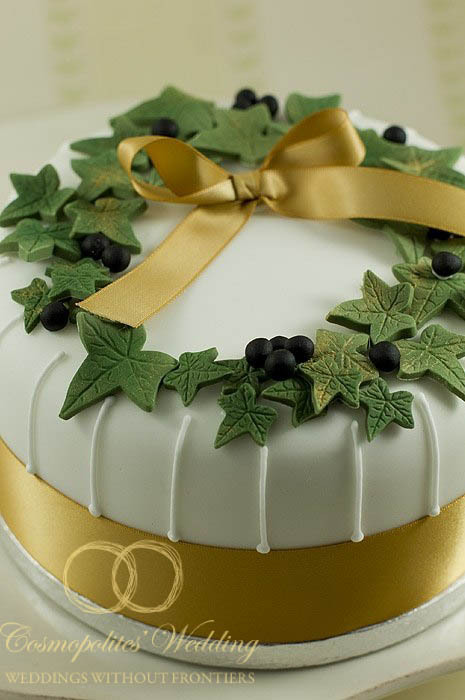 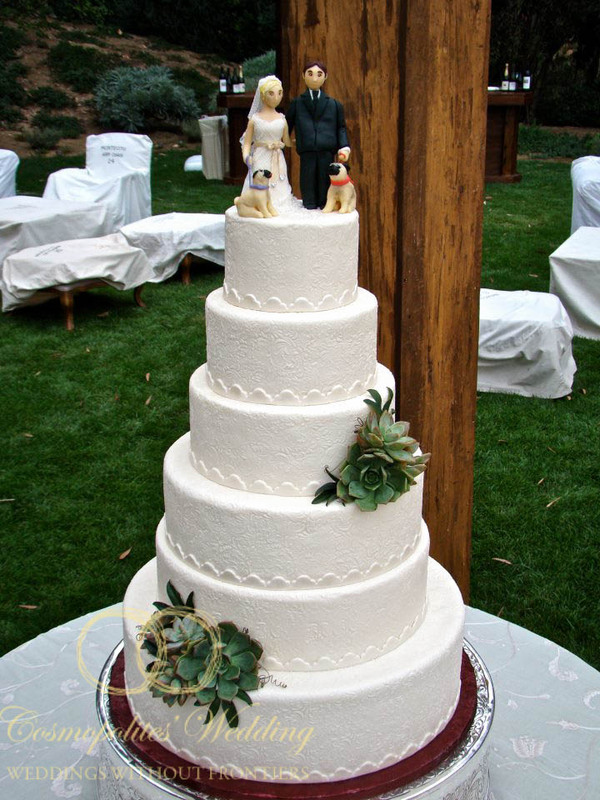 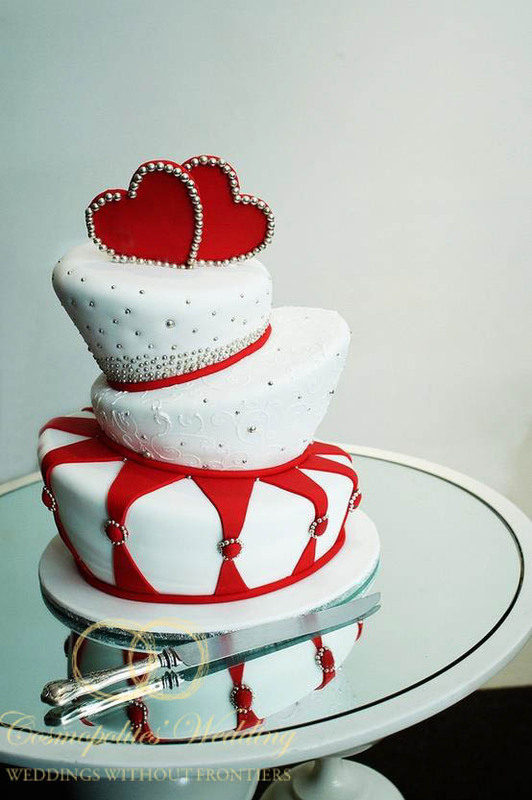 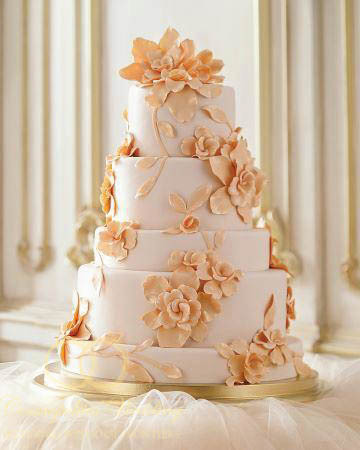 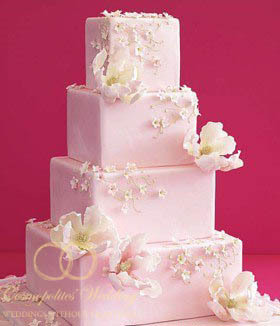 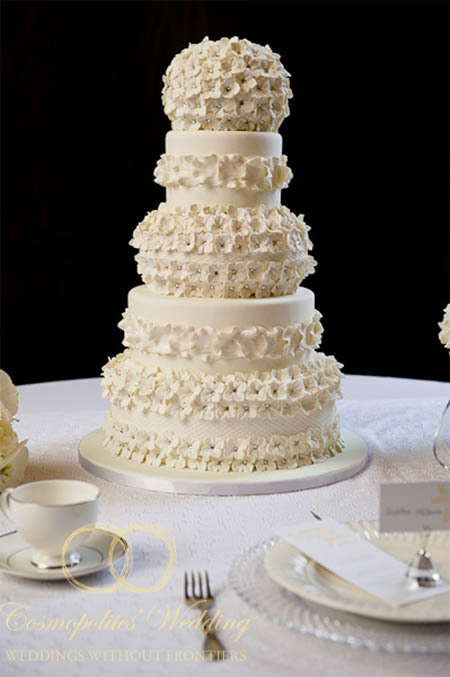 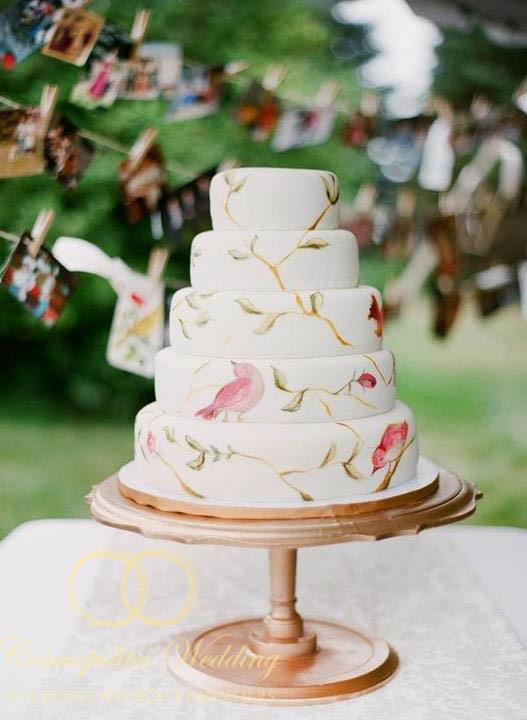 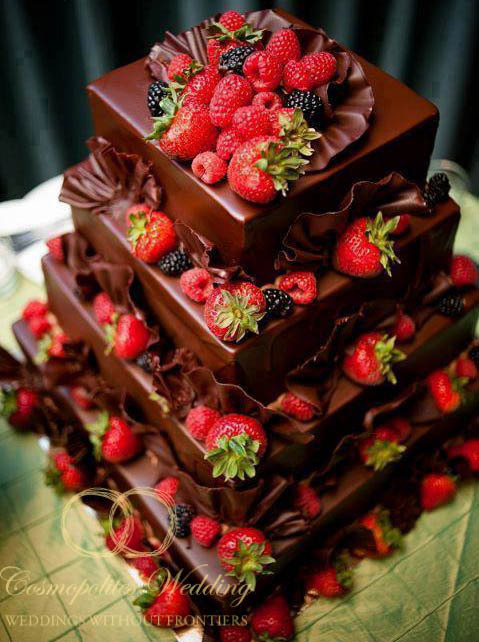 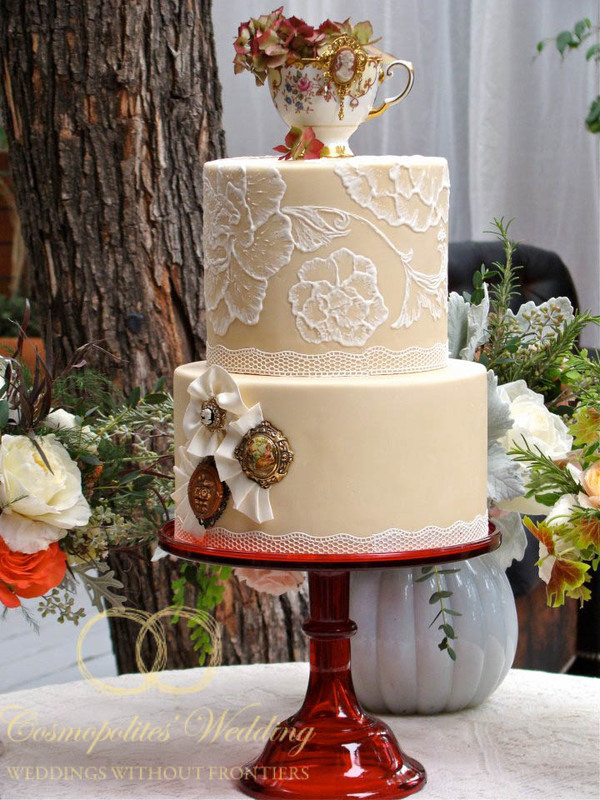 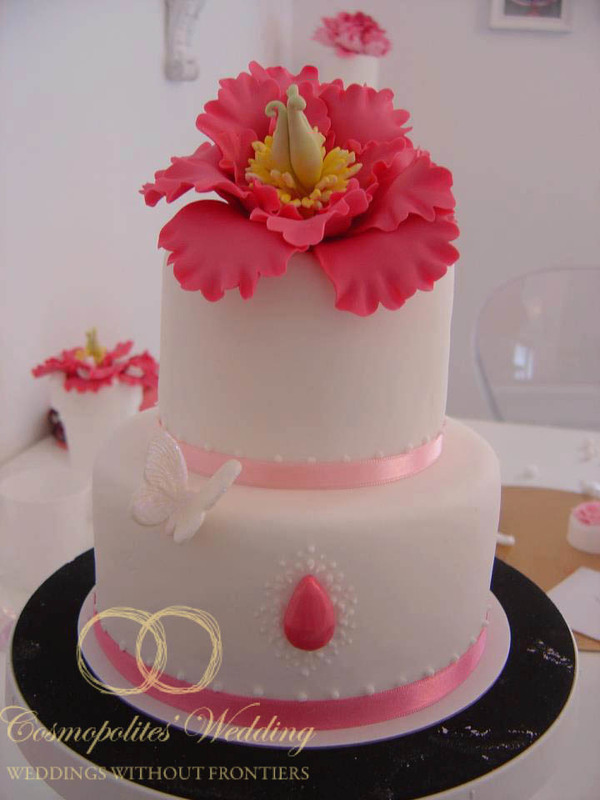 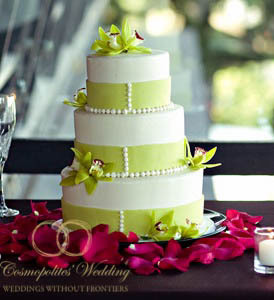 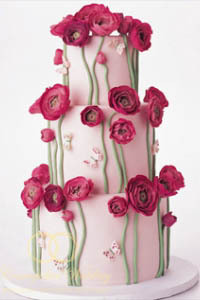 The wedding cake plays an important role in the marriage celebration and it is the focal point for the wedding feast. 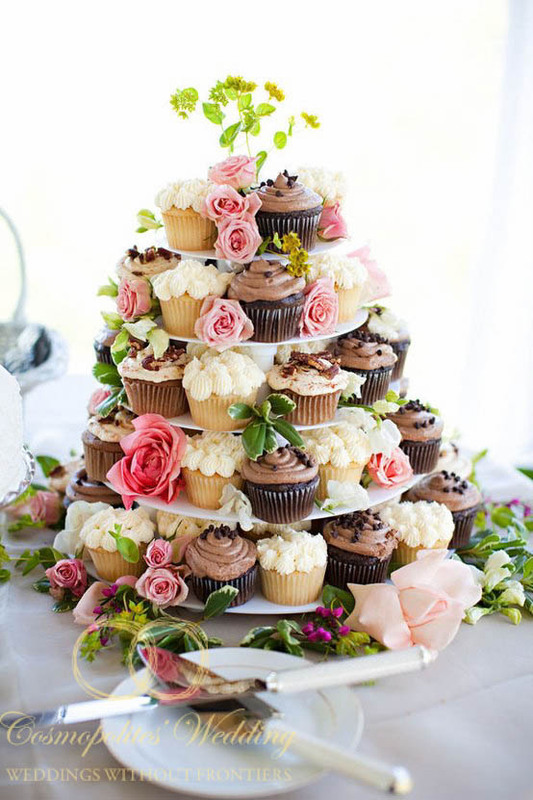 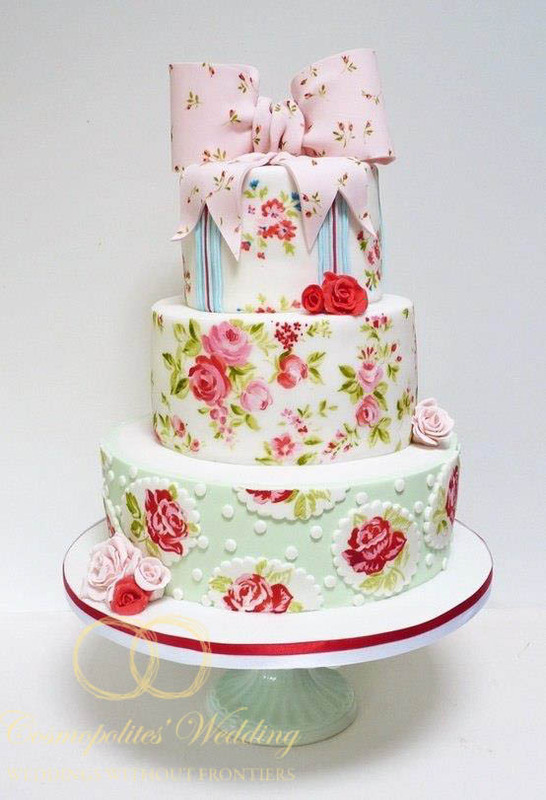 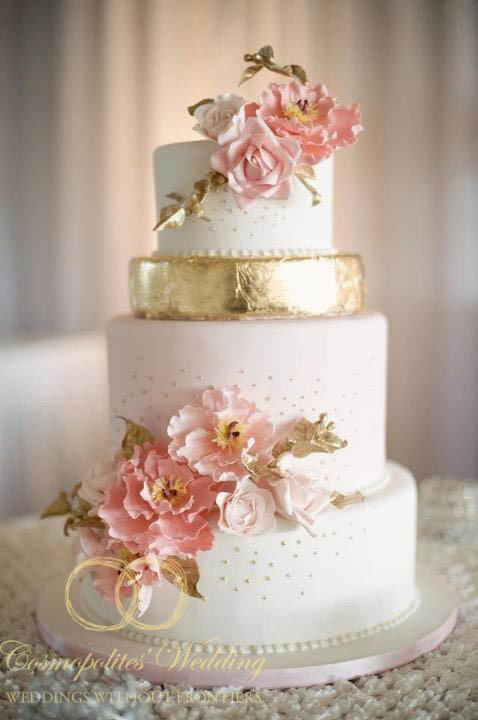 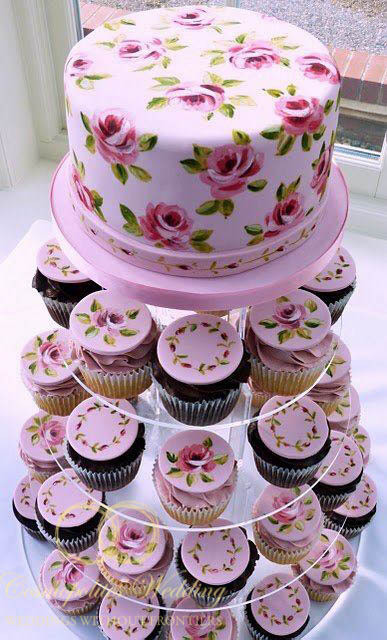 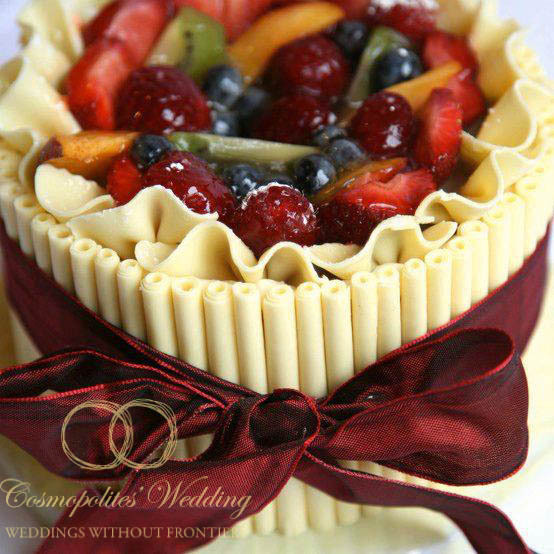 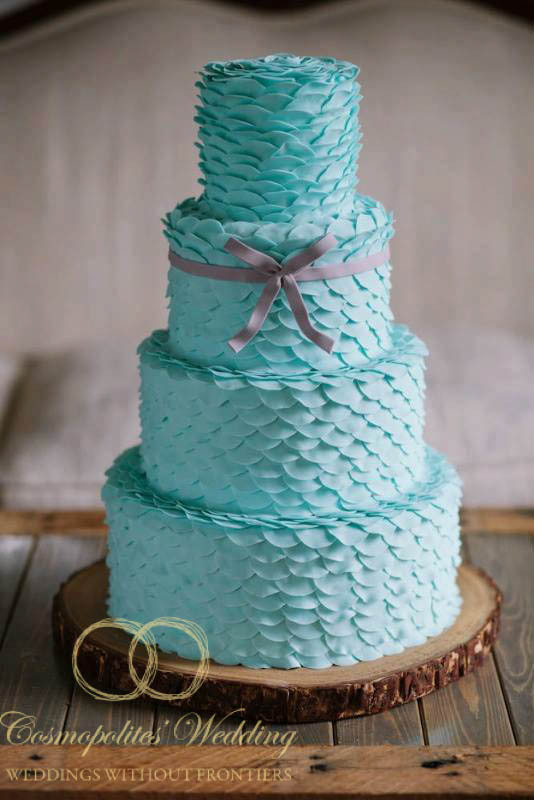 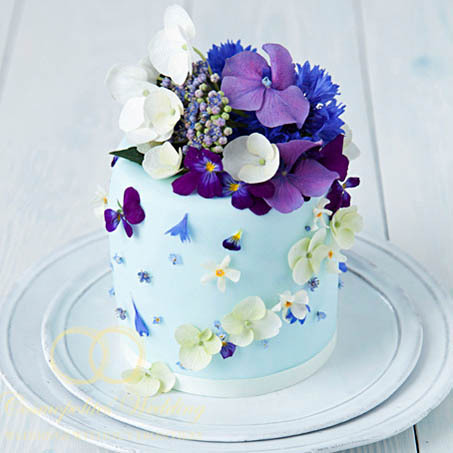 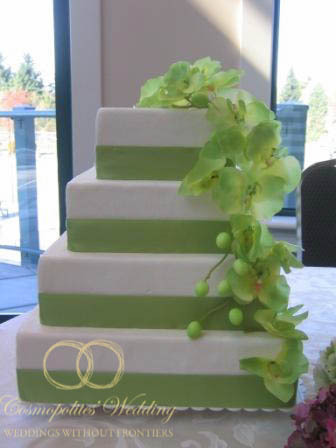 We can provide you with a large selection of wedding cakes ranging from the traditional rich fruit wedding cakes with a variety of fillings to more novelty cakes. 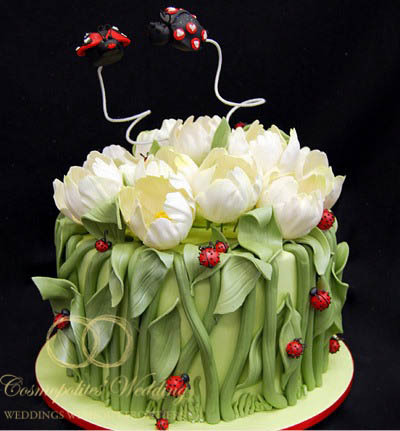 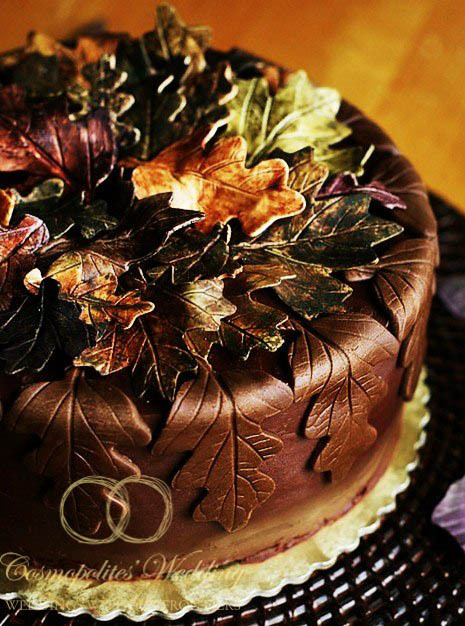 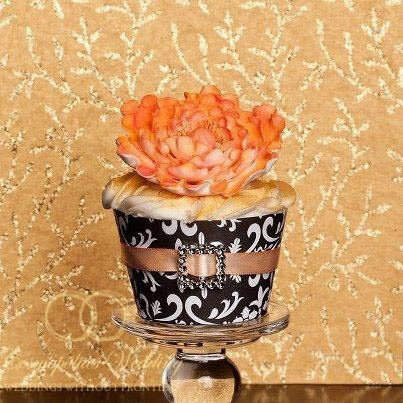 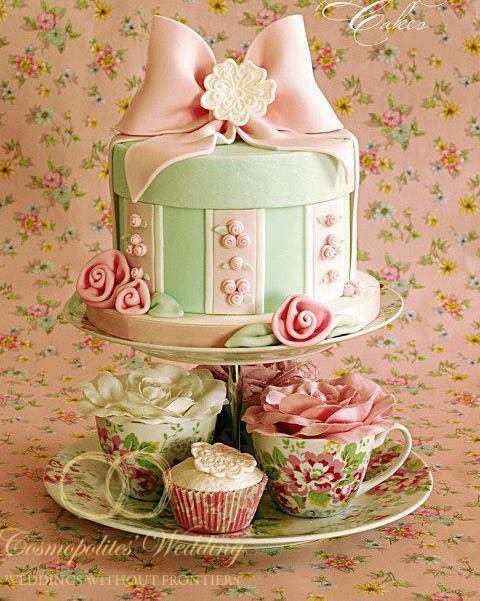 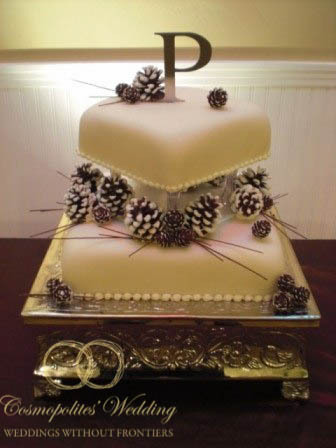 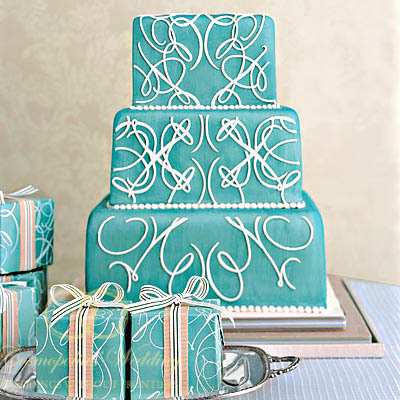 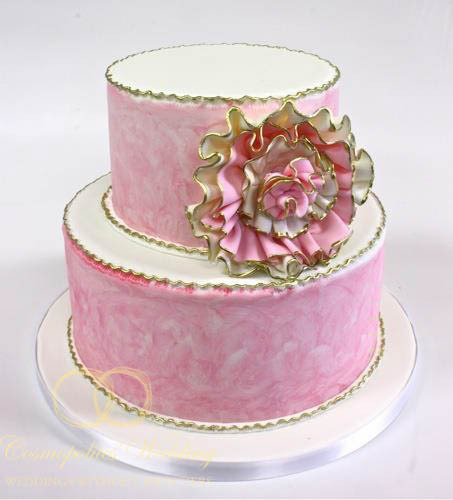 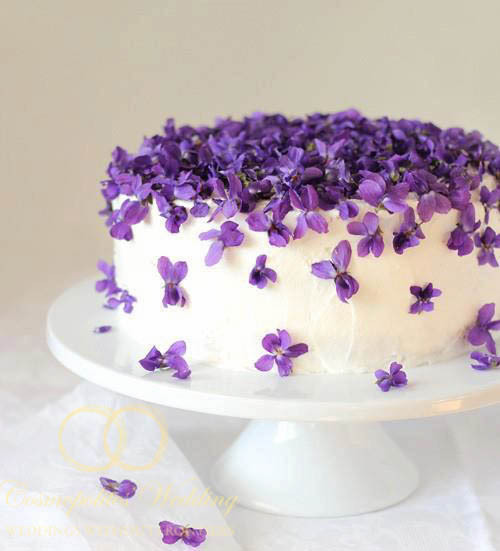 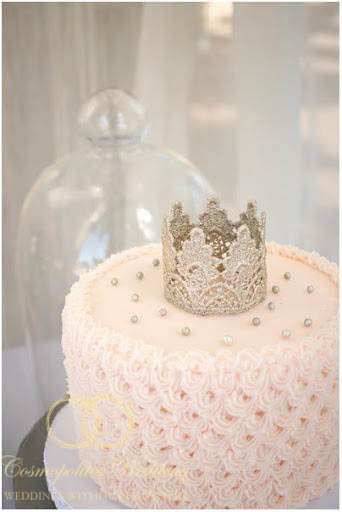 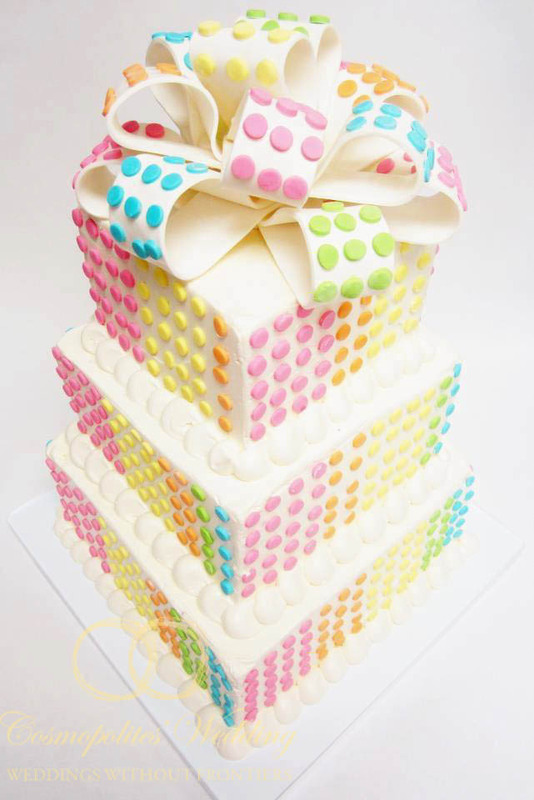 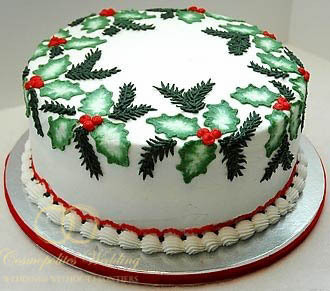 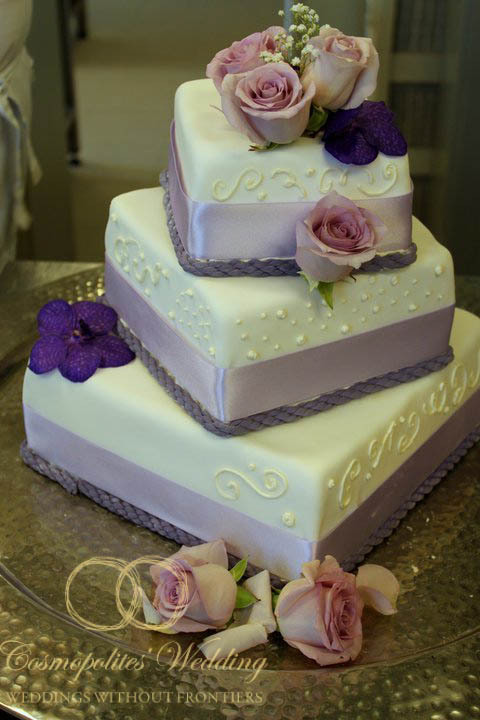 All cakes are freshly baked and designed by acclaimed professional chefs. 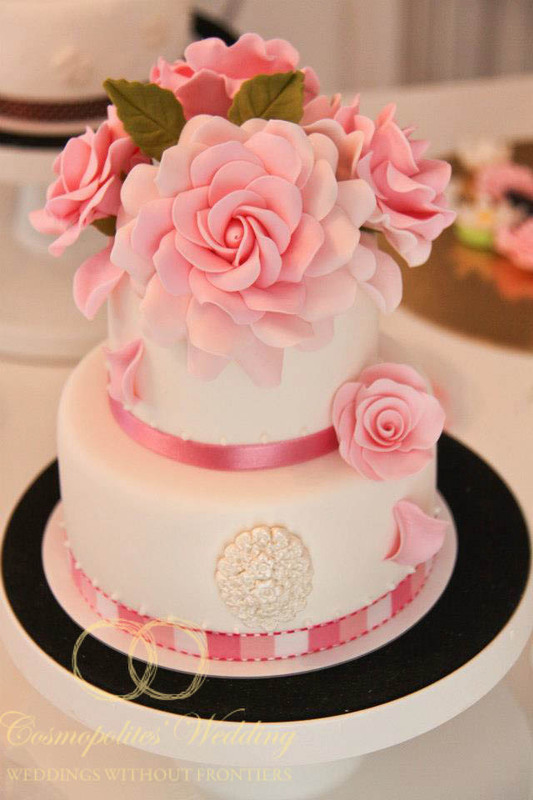 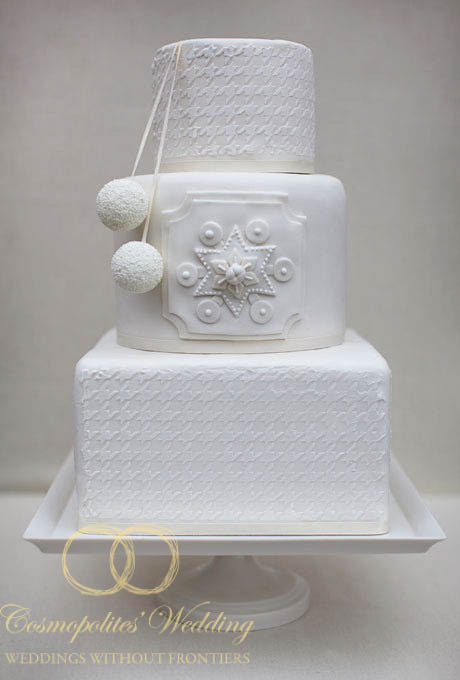 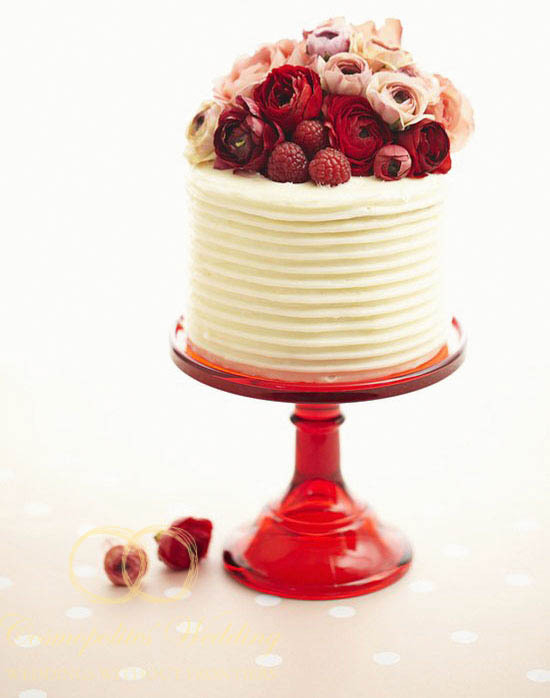 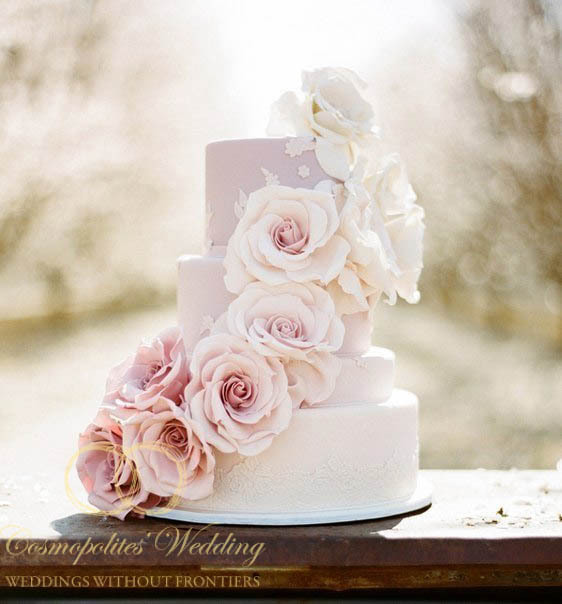 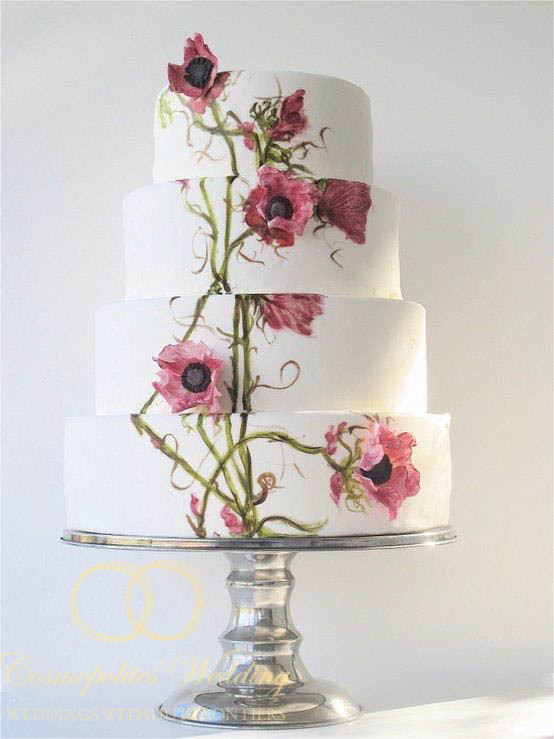 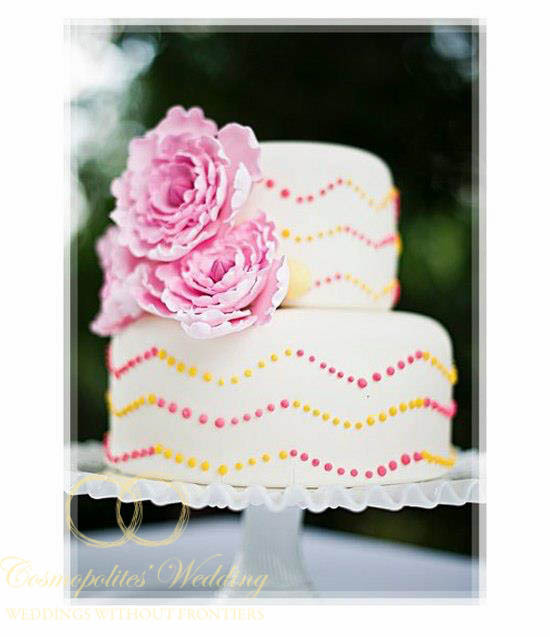 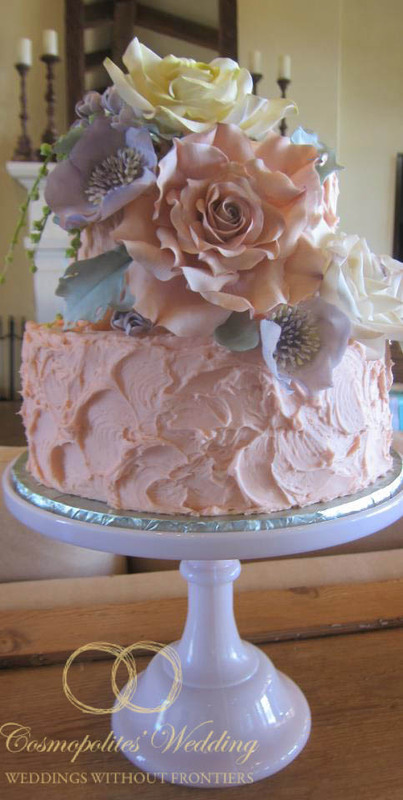 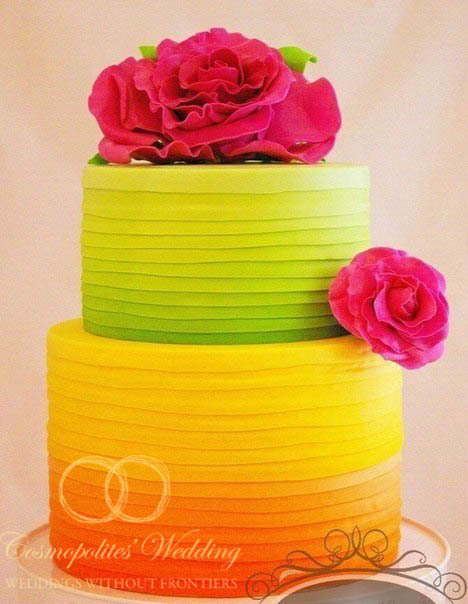 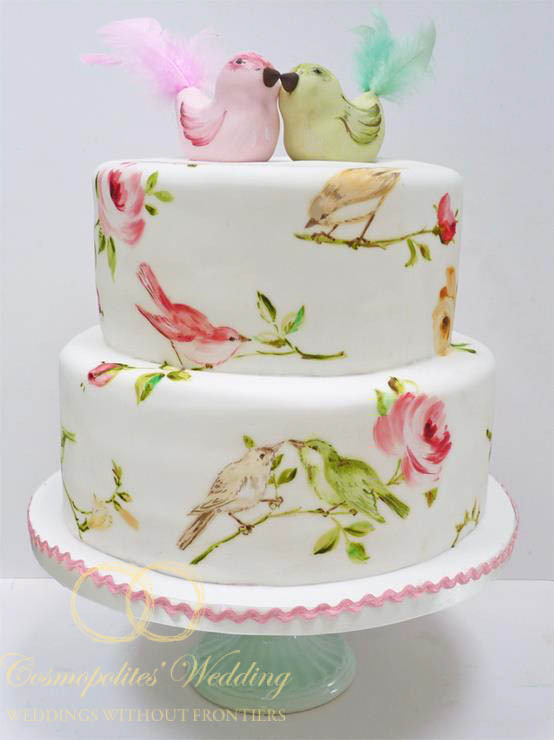 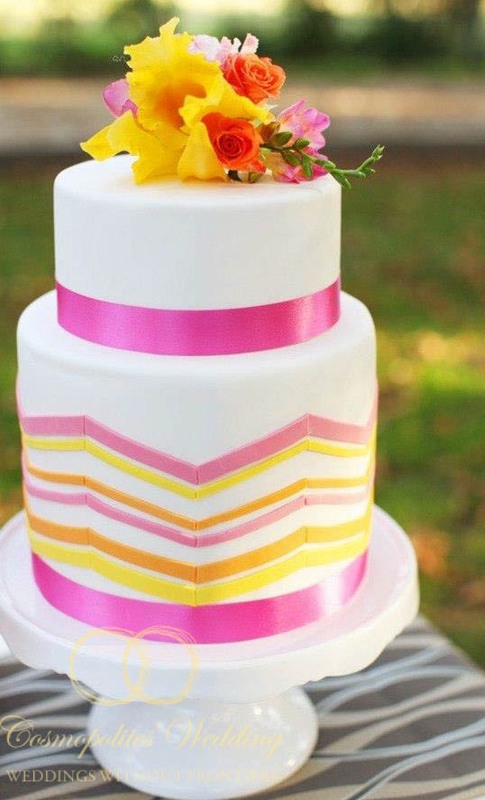 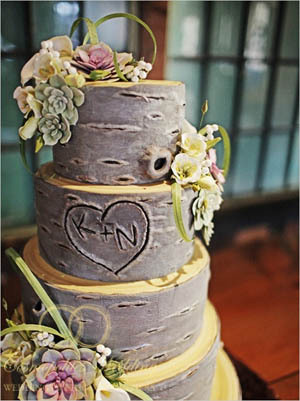 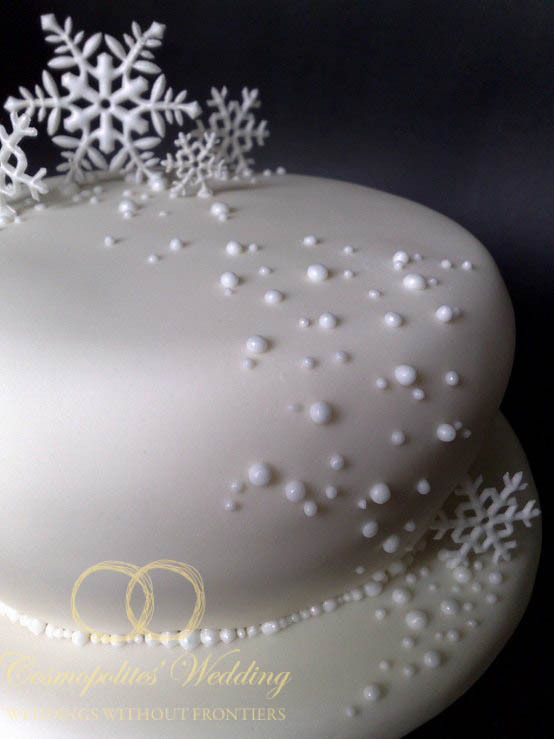 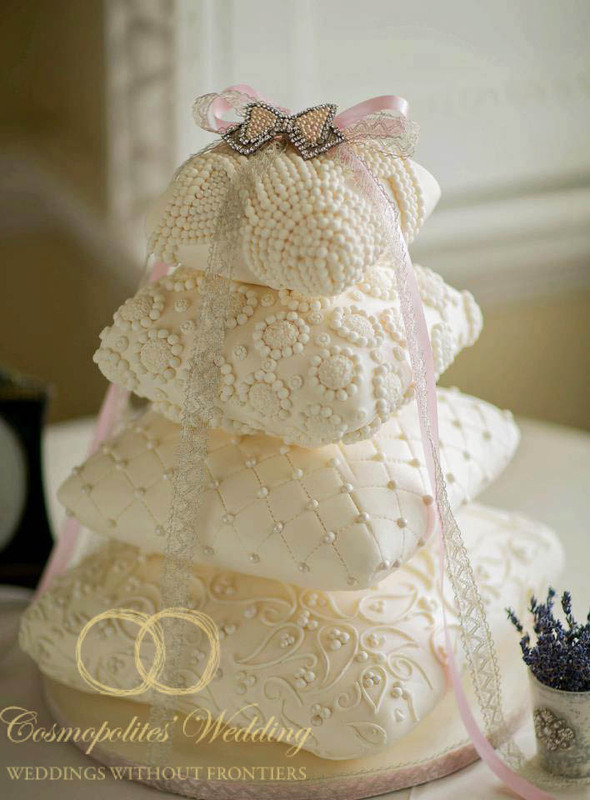 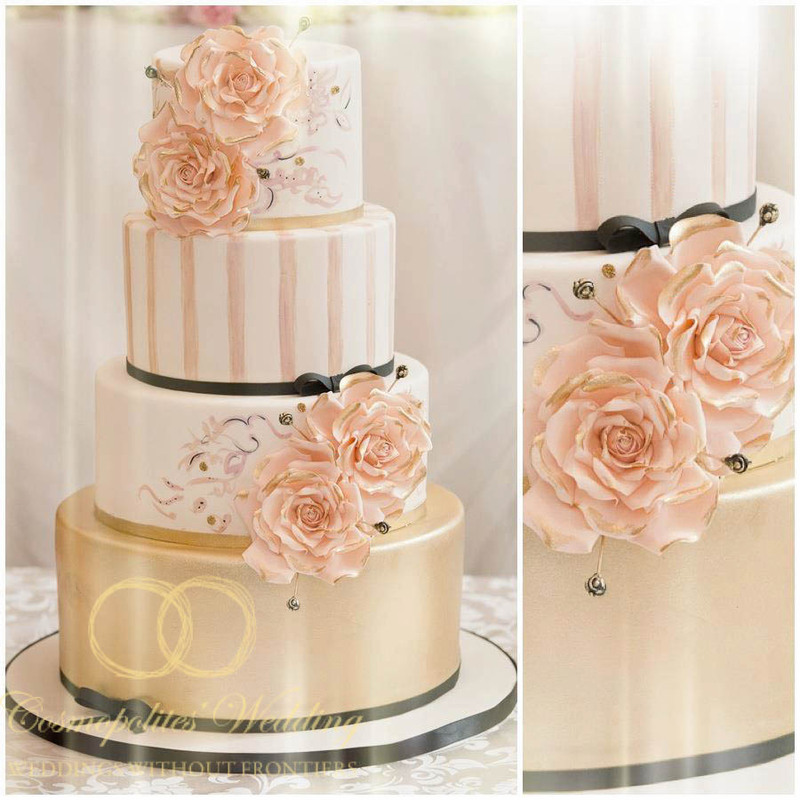 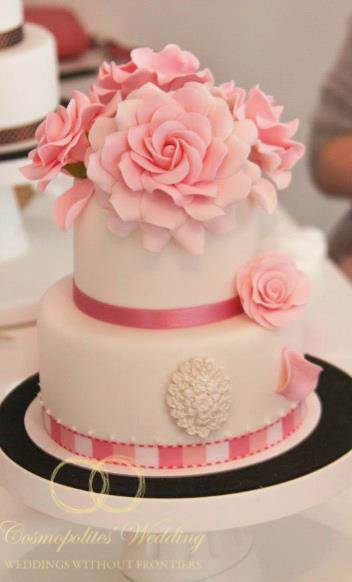 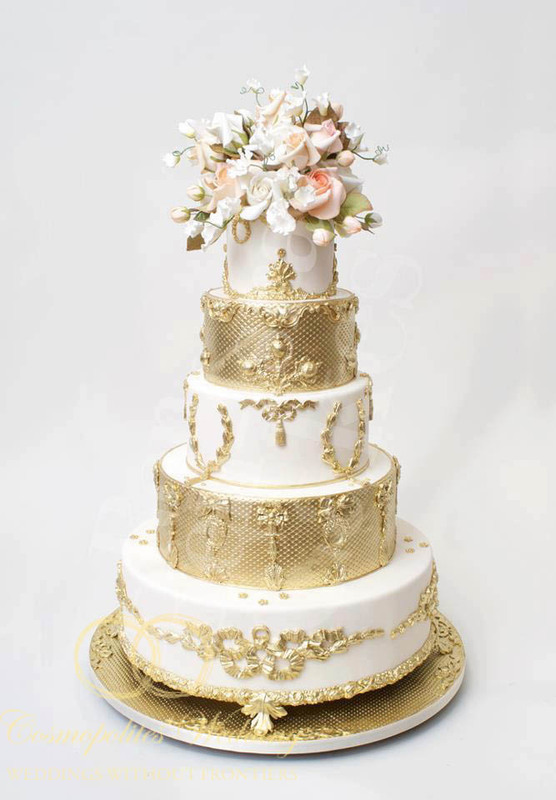 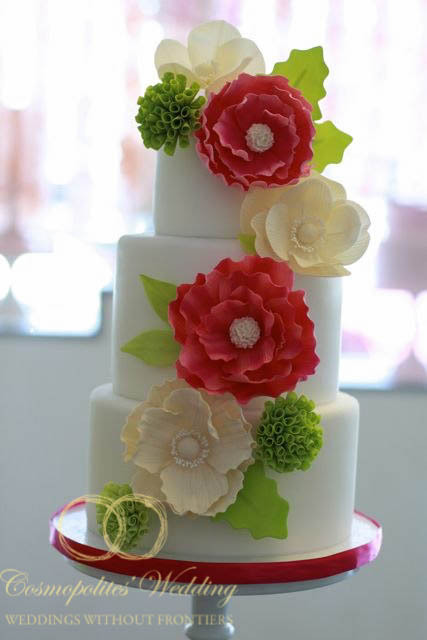 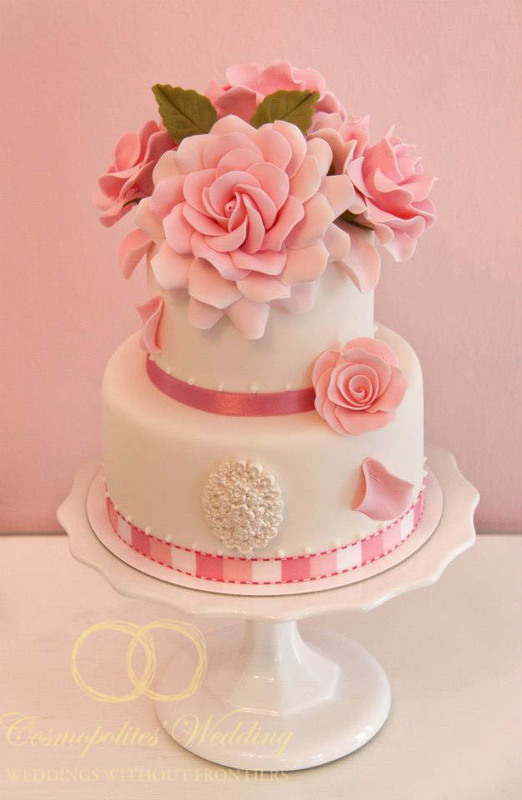 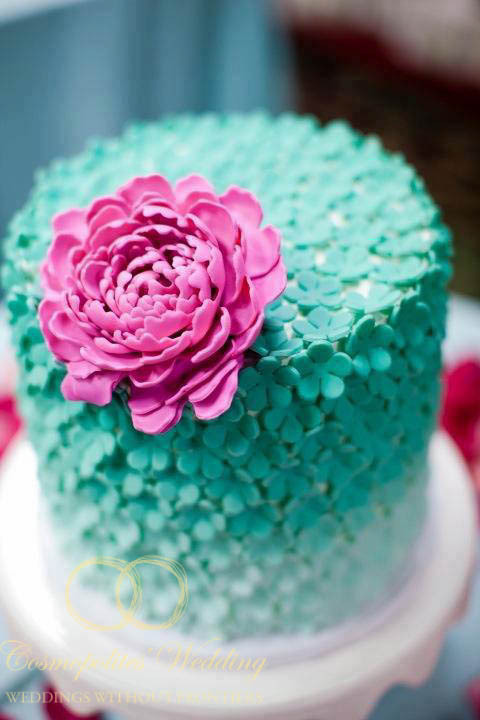 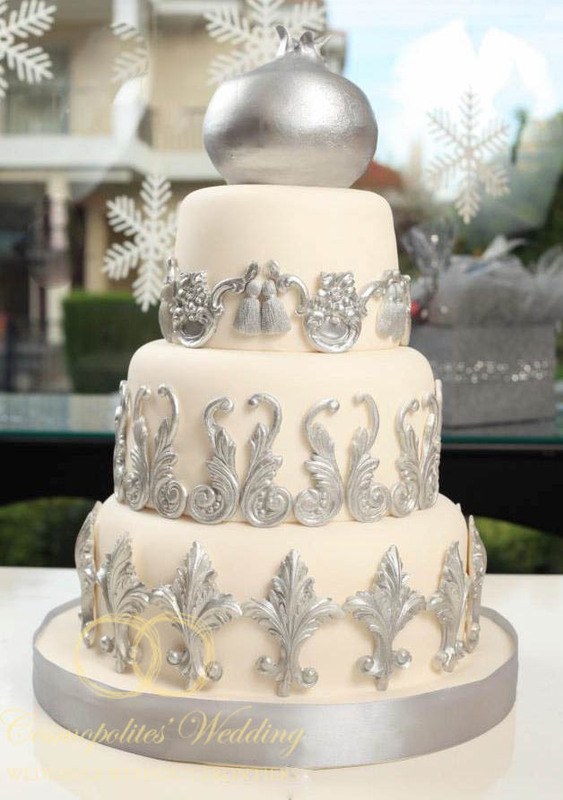 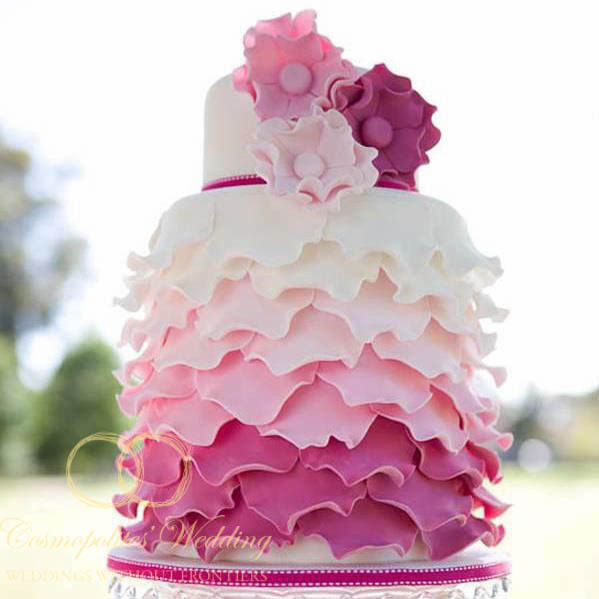 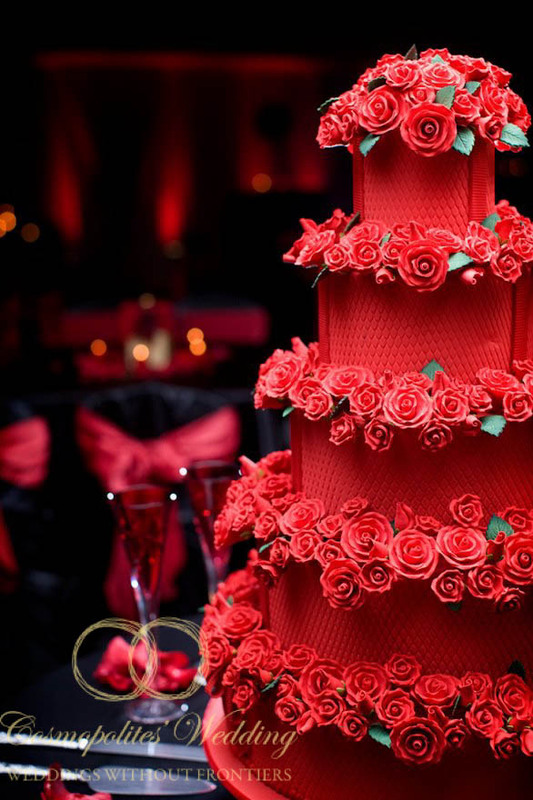 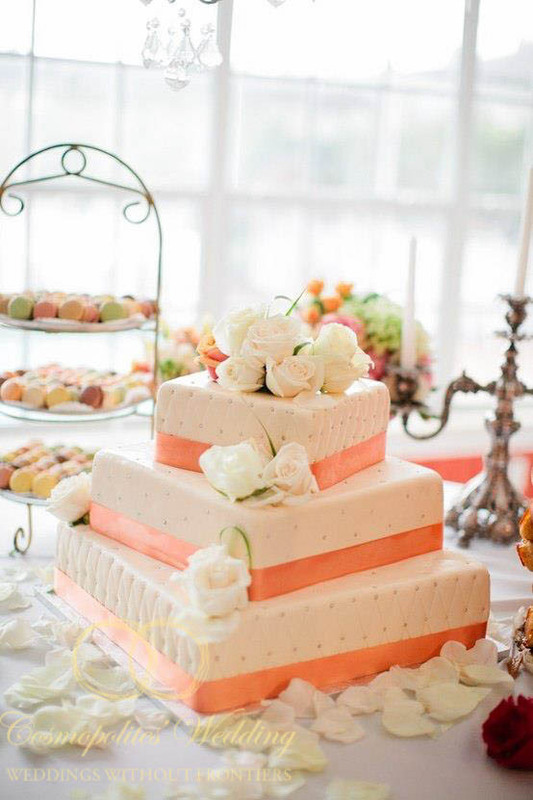 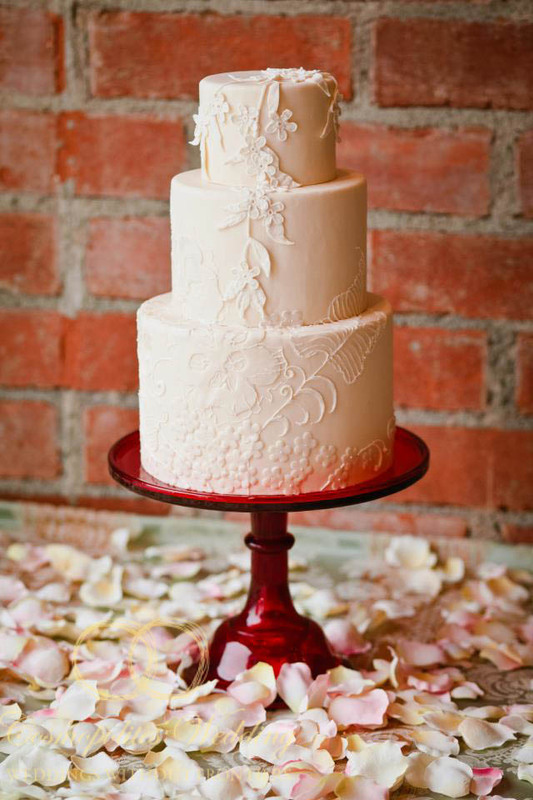 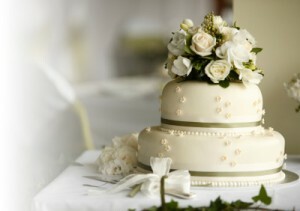 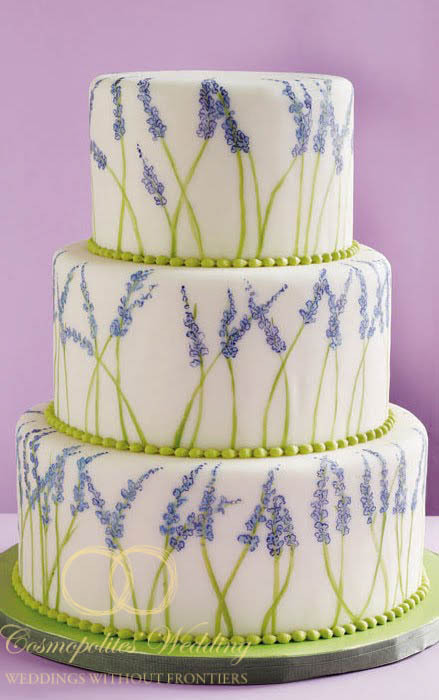 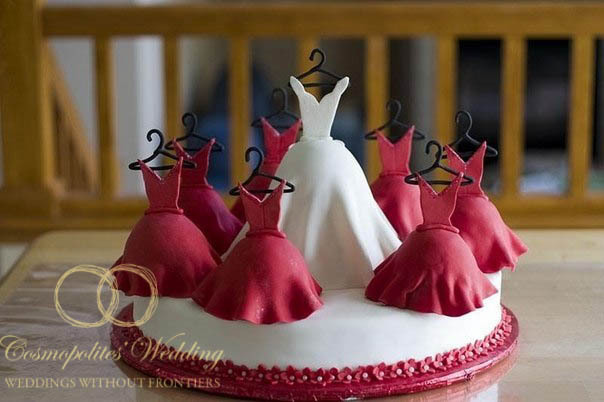 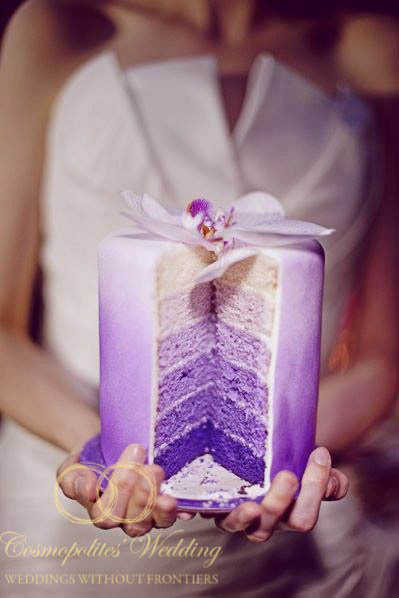 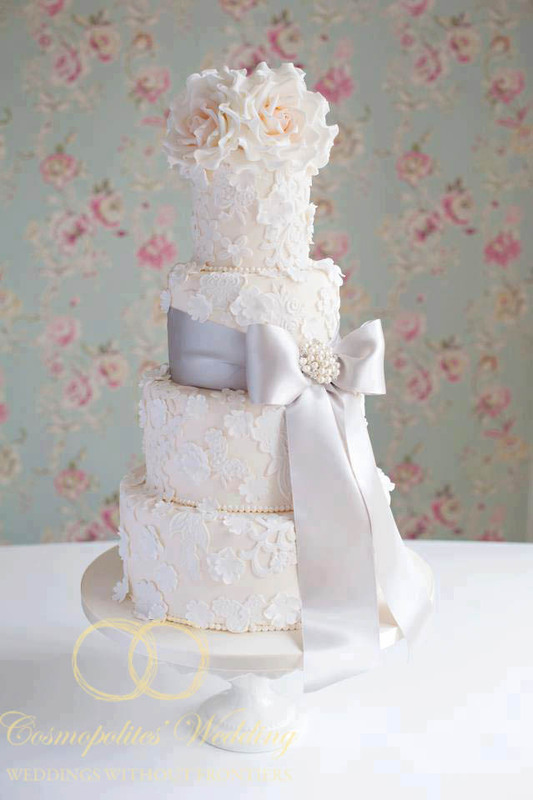 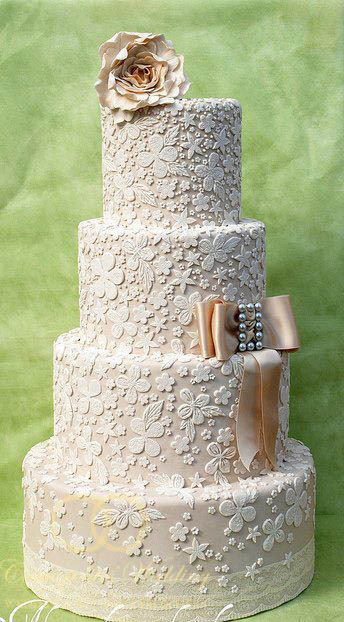 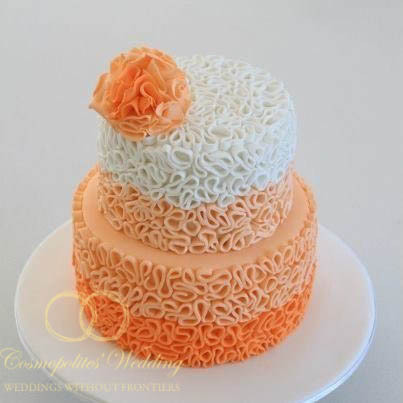 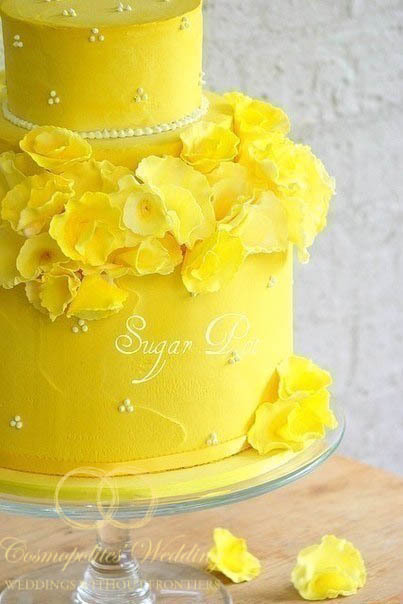 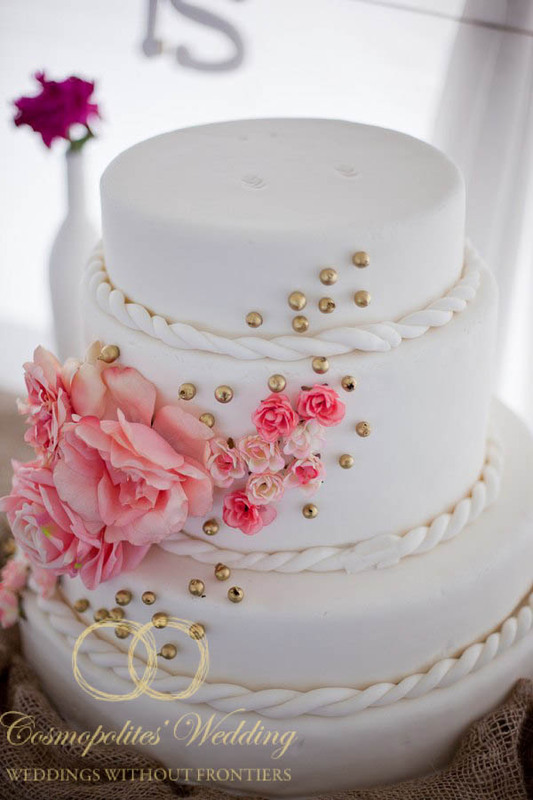 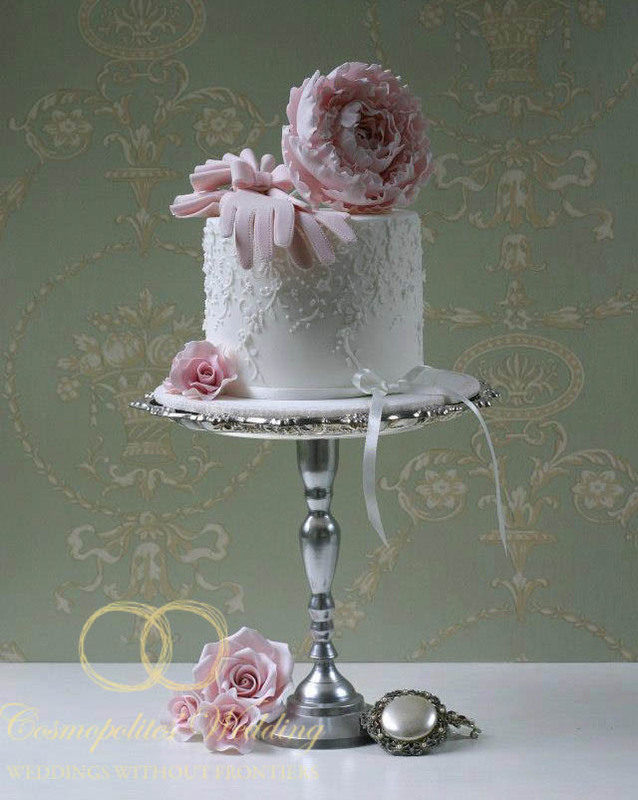 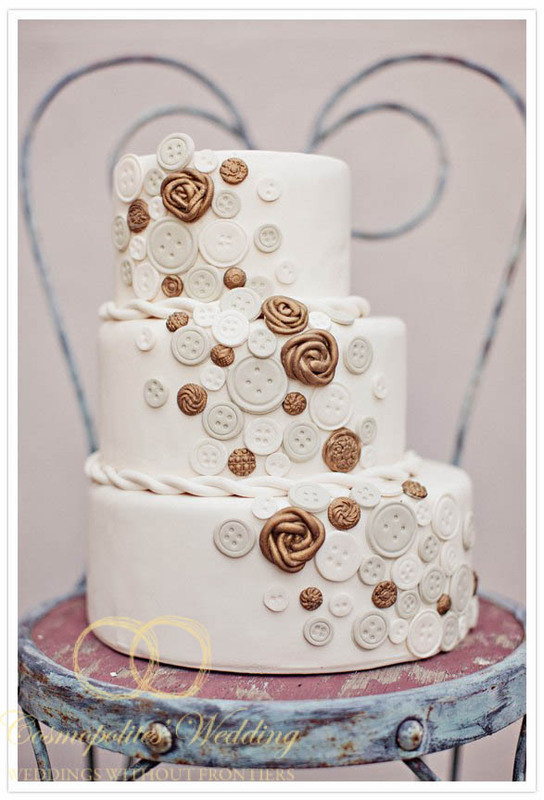 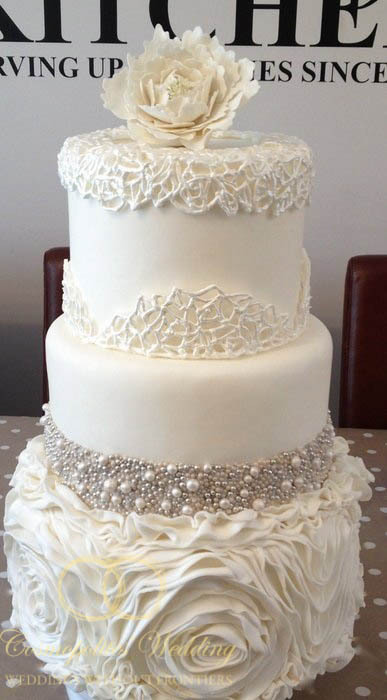 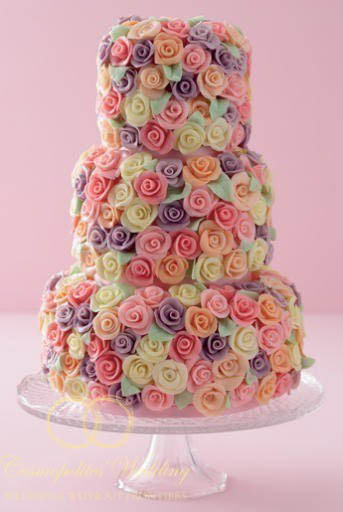 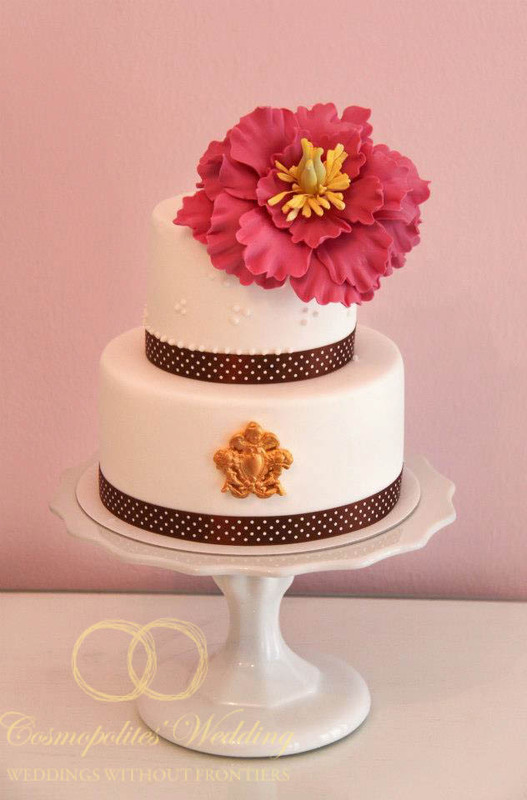 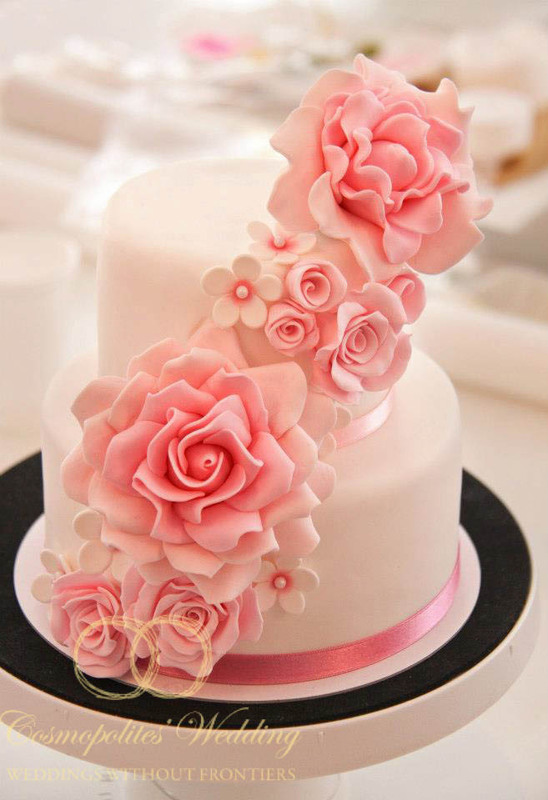 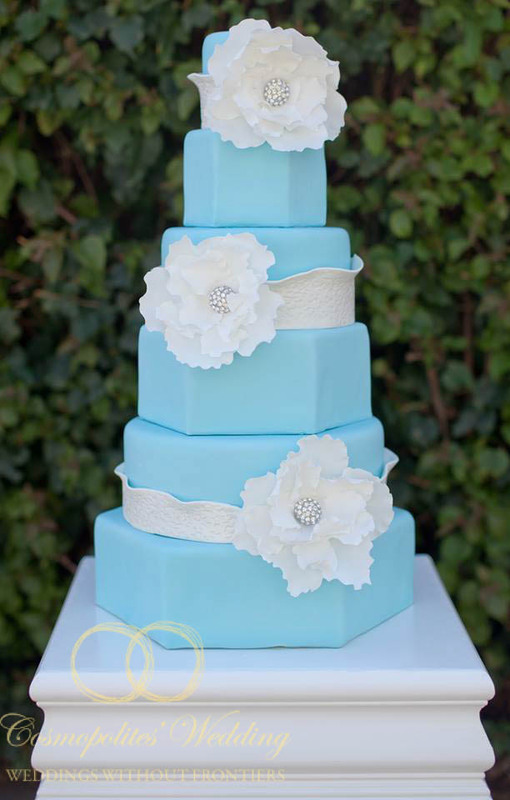 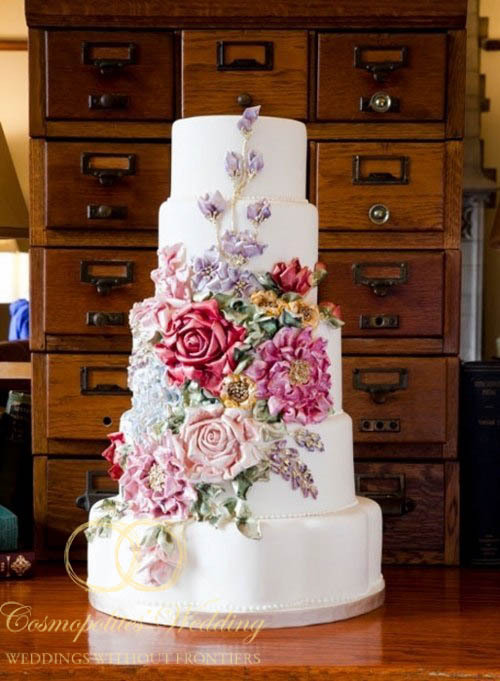 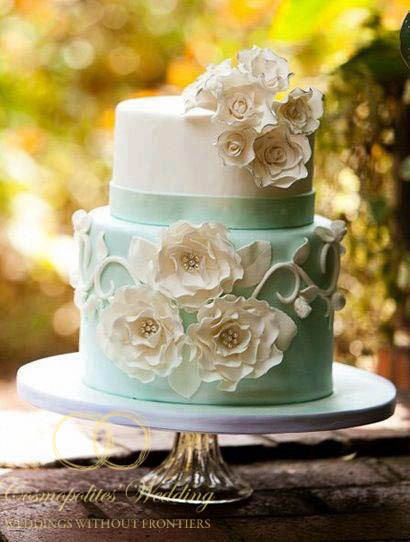 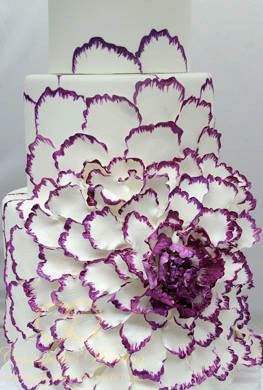 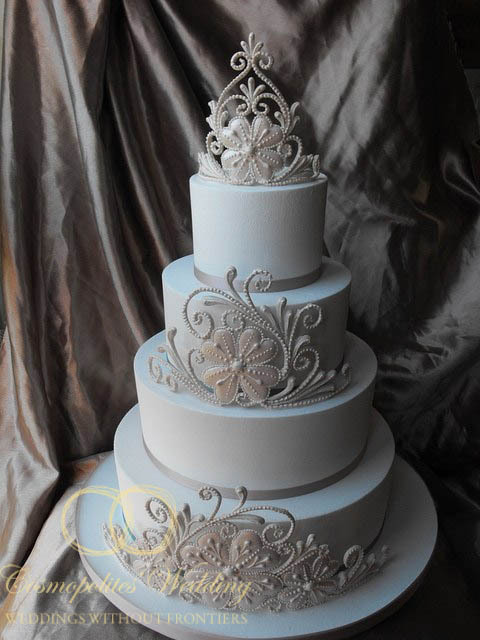 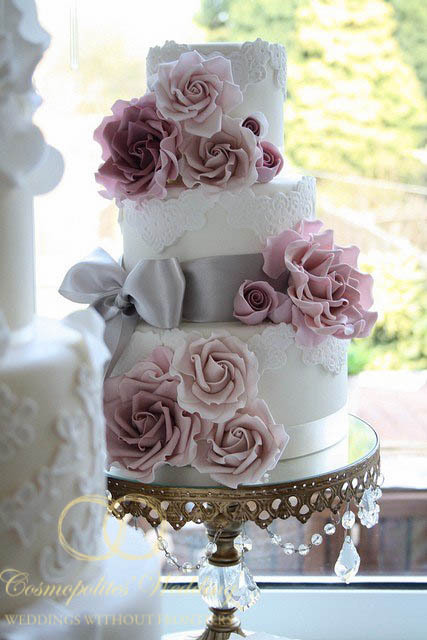 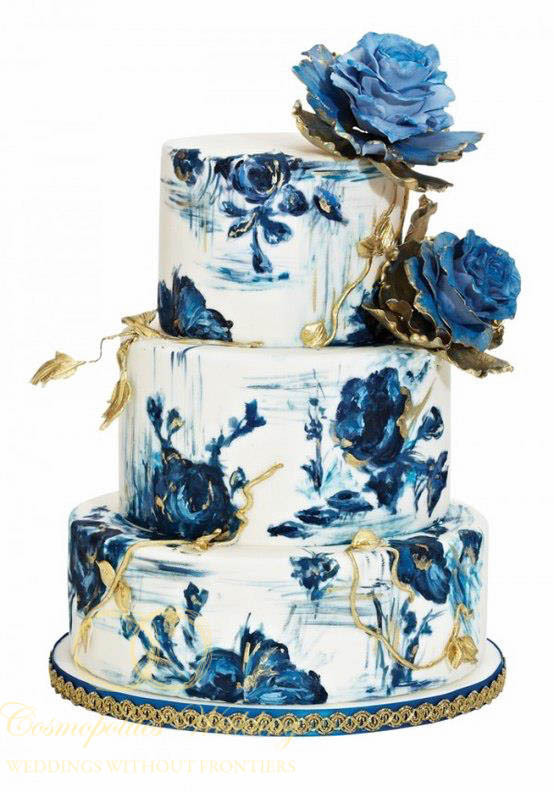 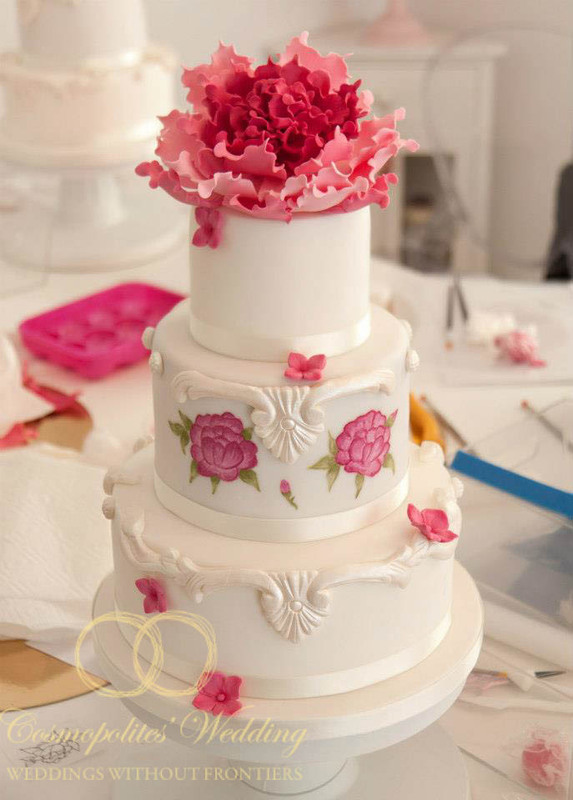 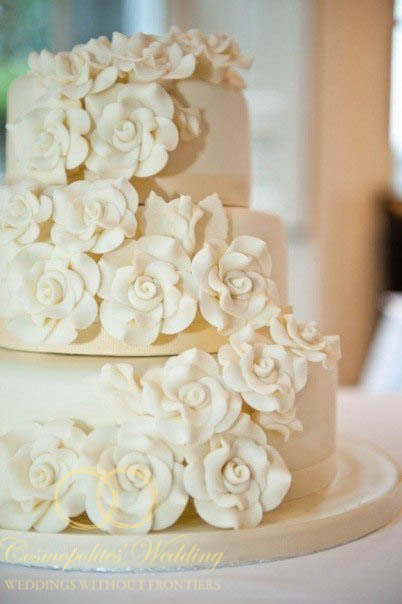 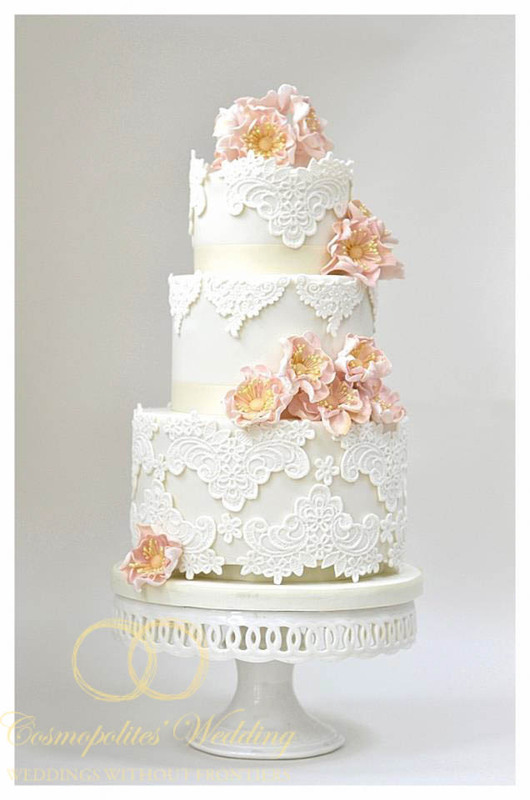 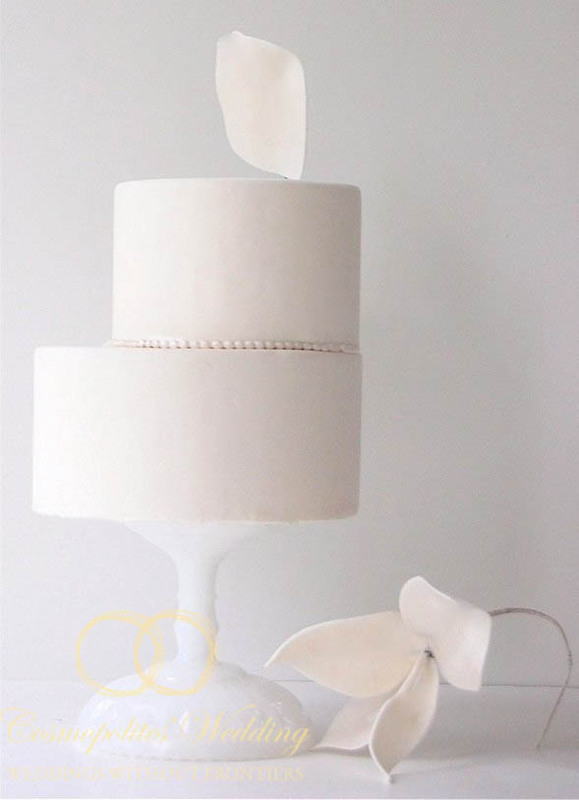 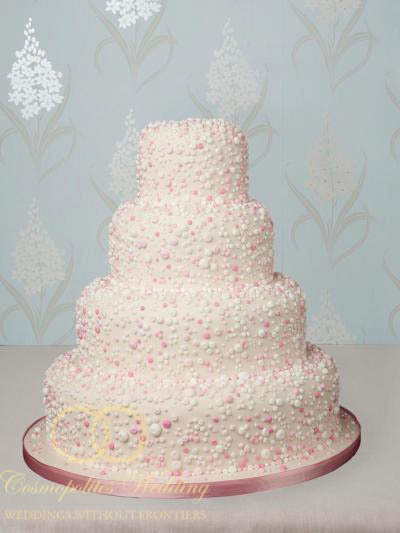 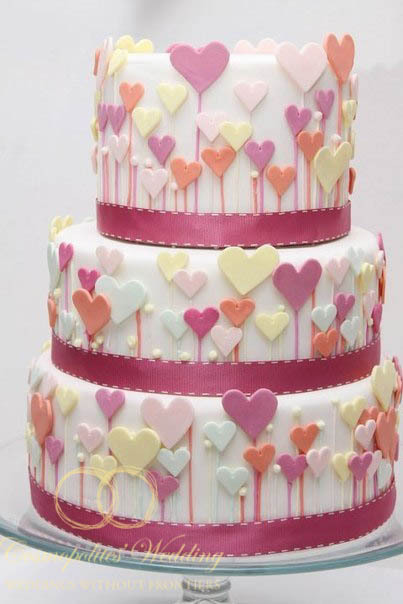 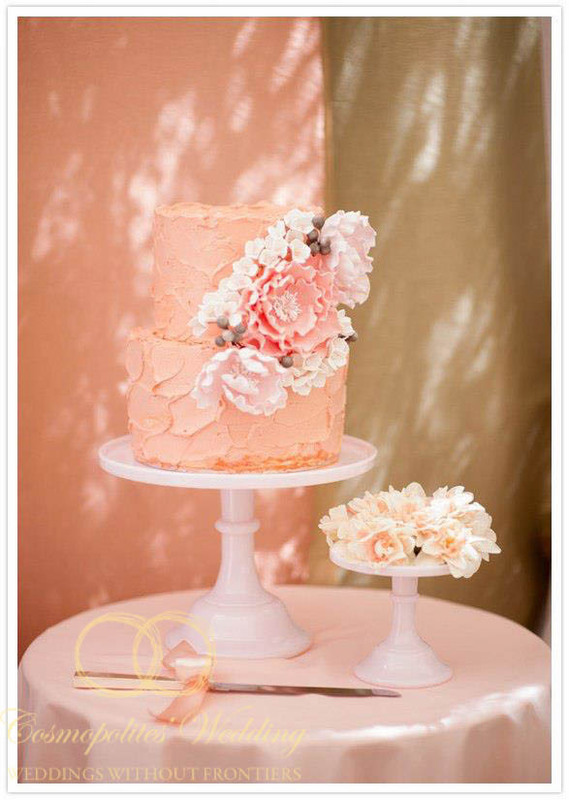 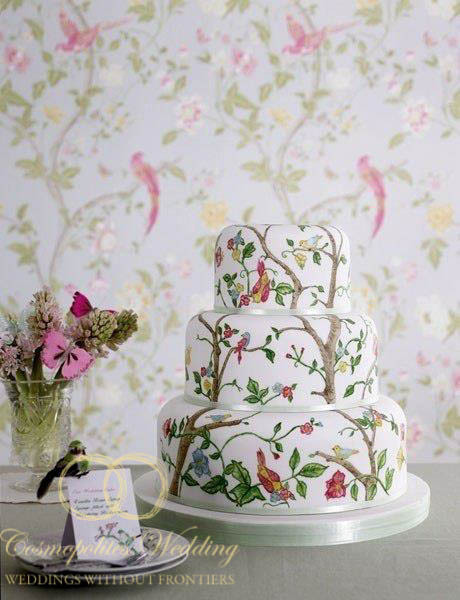 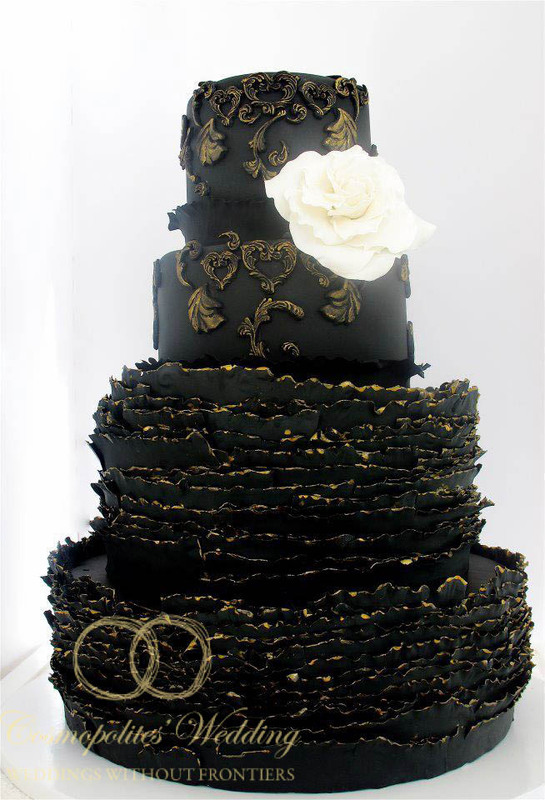 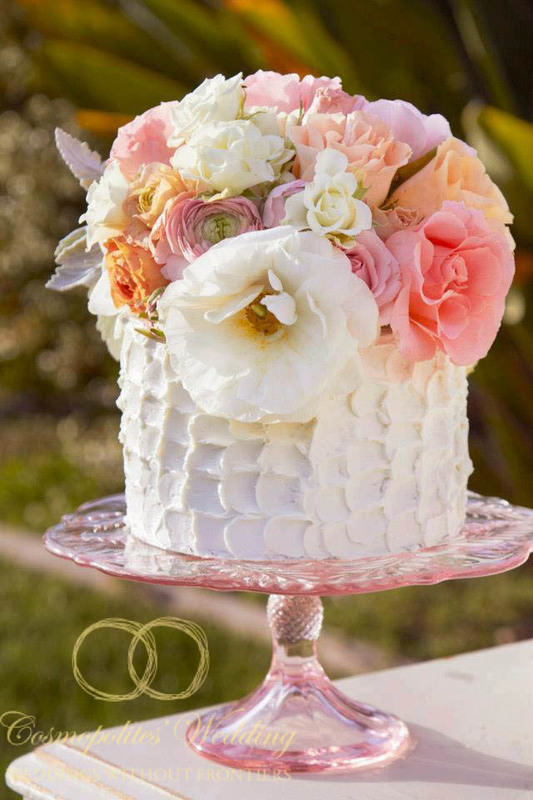 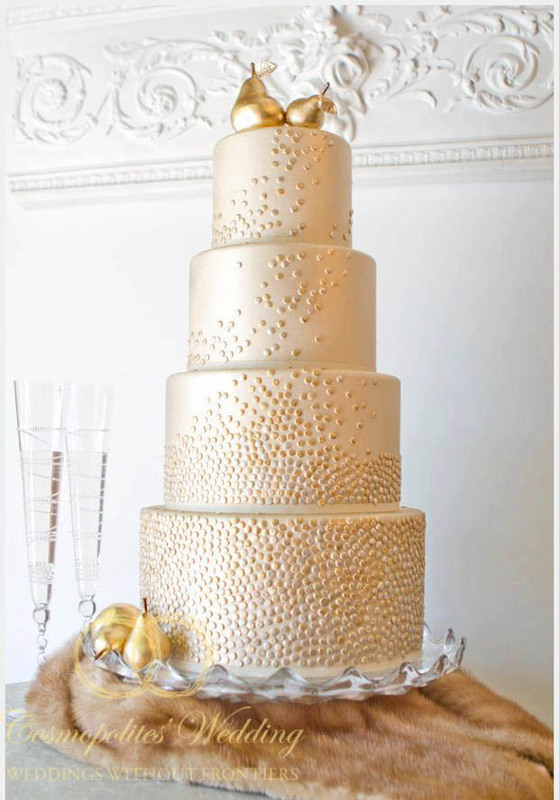 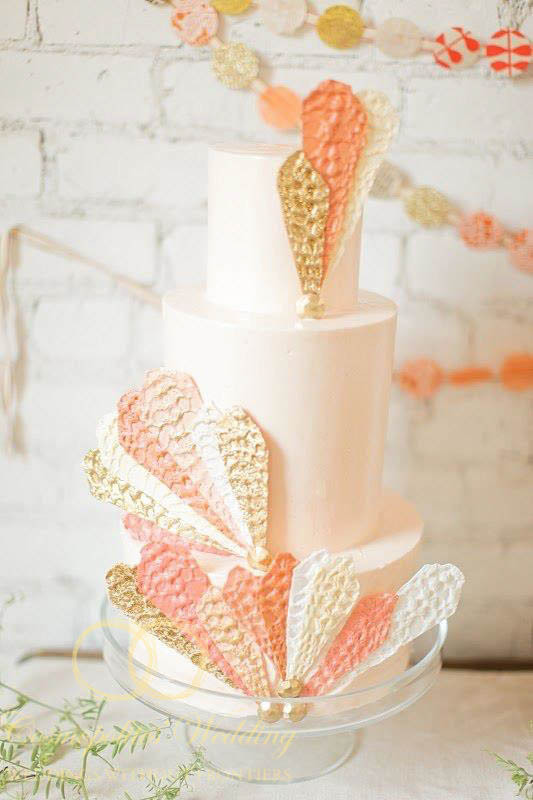 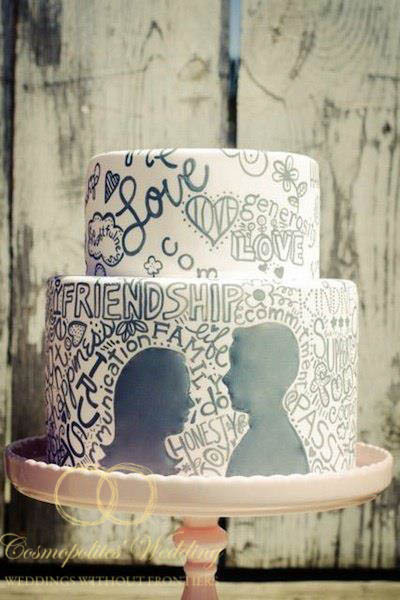 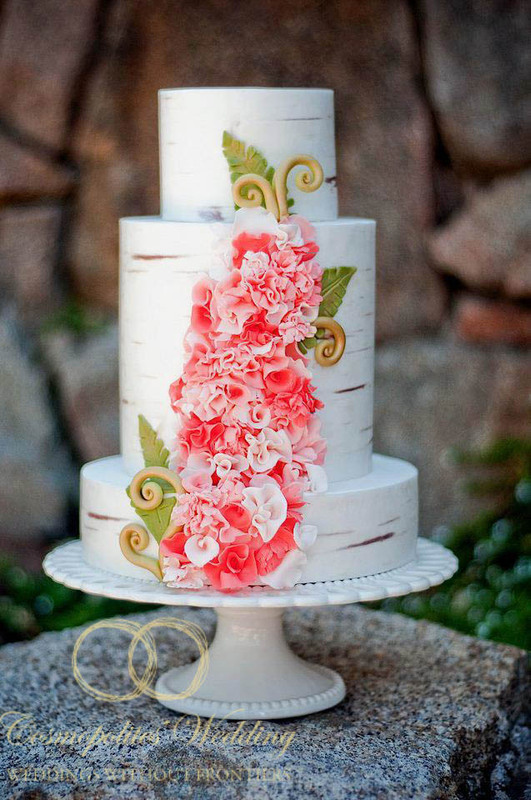 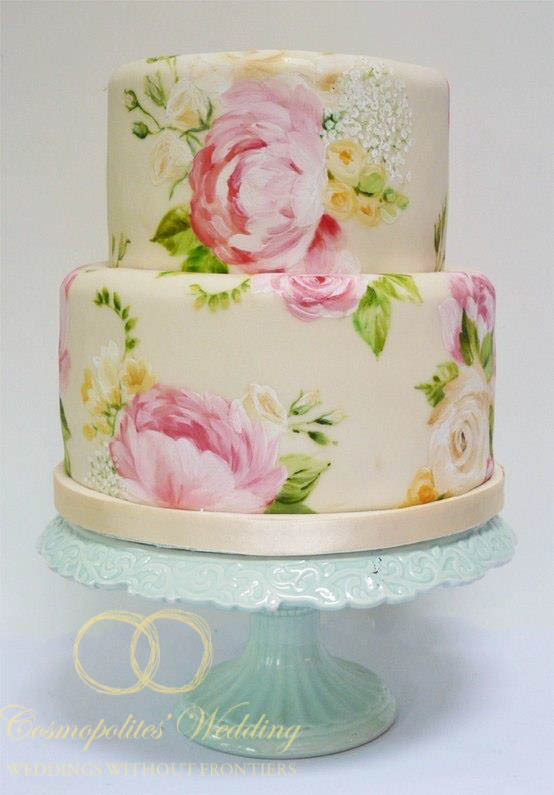 We will help you to select the perfect wedding cake so it reflects the theme and style of your wedding. 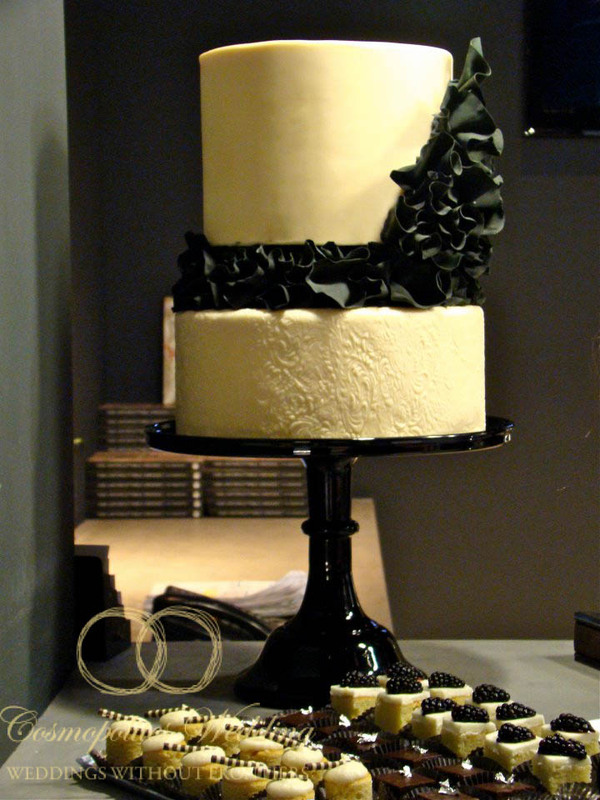 Any other flavor to be discussed with our Pastry Chef. 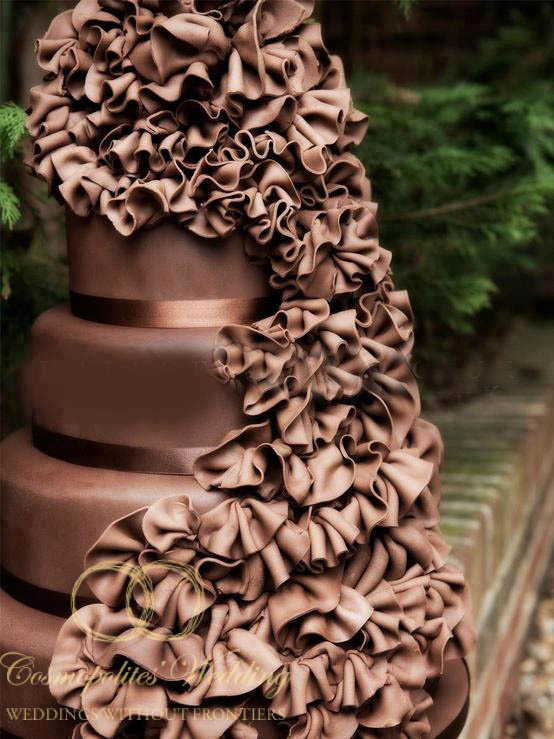 Chocolate Fountain — is the popular choice for brides of the 21st Century. 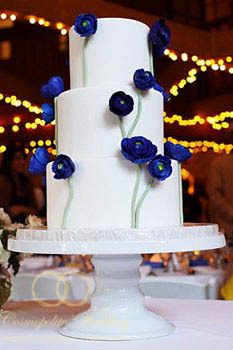 We recommend adding a unique catering touch to accent your wedding reception with Chocolate fountain. 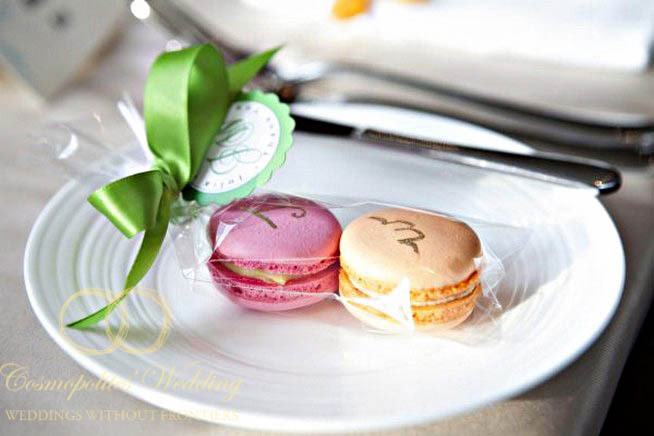 Wedding favors are usually integrated into the wedding color matter and are often placed at each guest’s seat as a symbol of thanks. 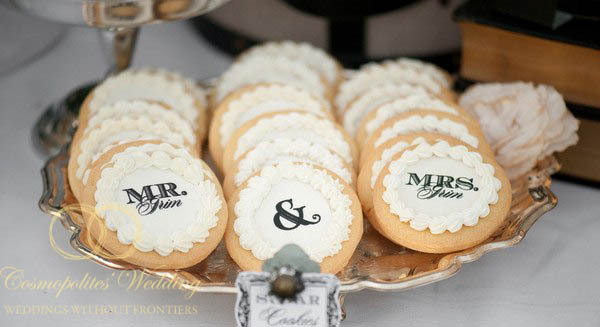 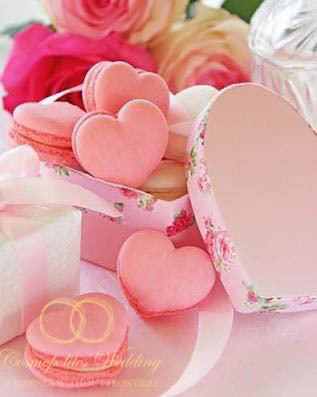 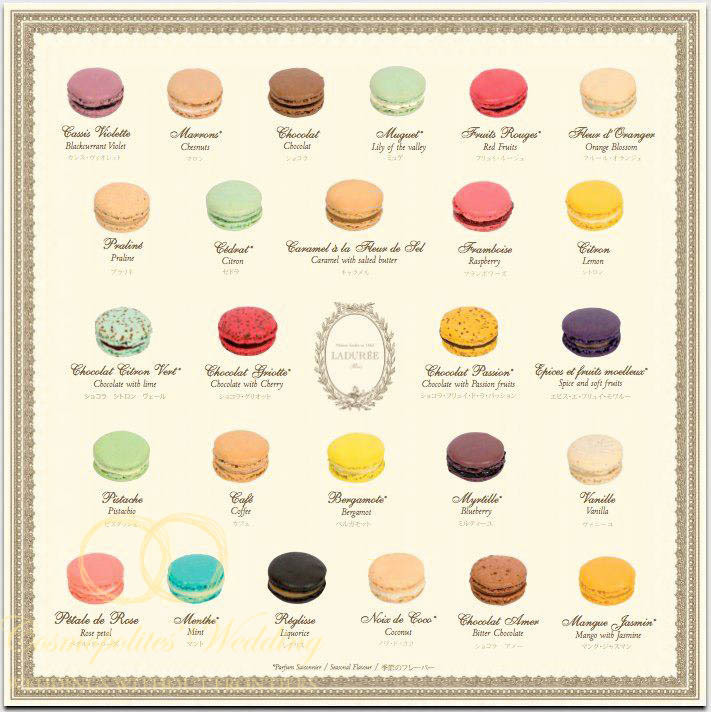 They can be personalized for the event, long lasting and elegant or a simple, edible treat. 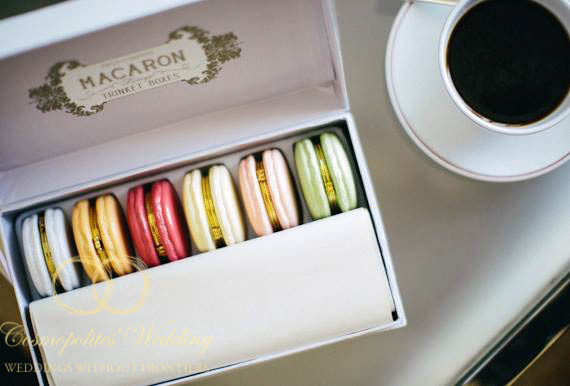 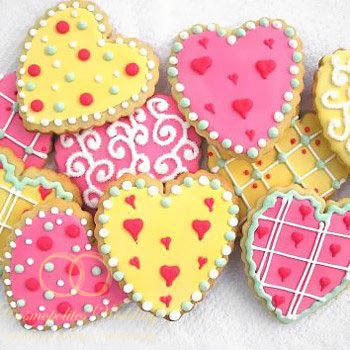 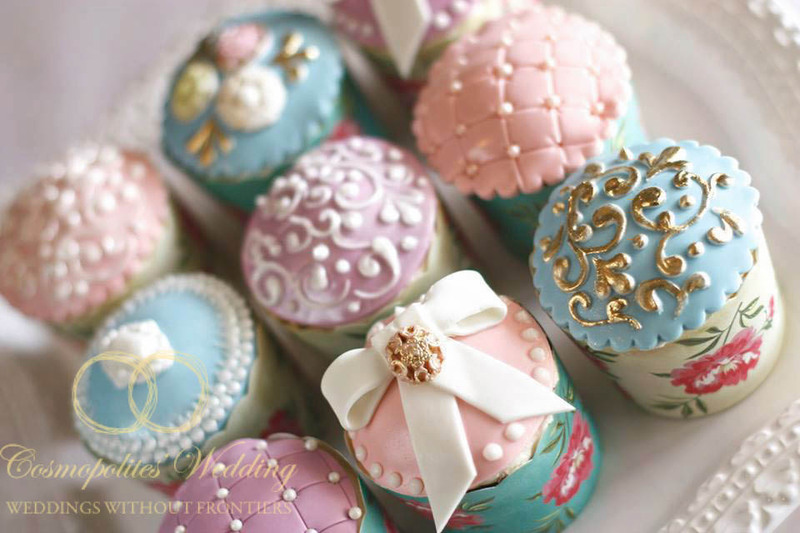 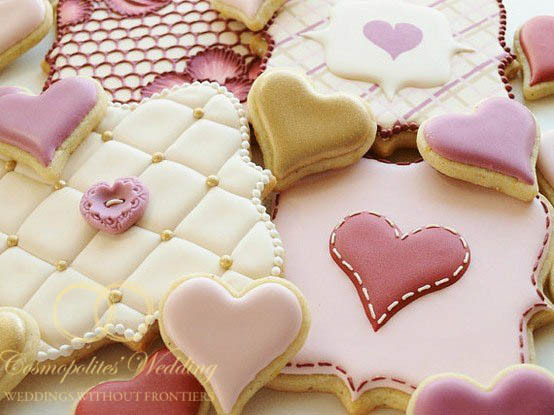 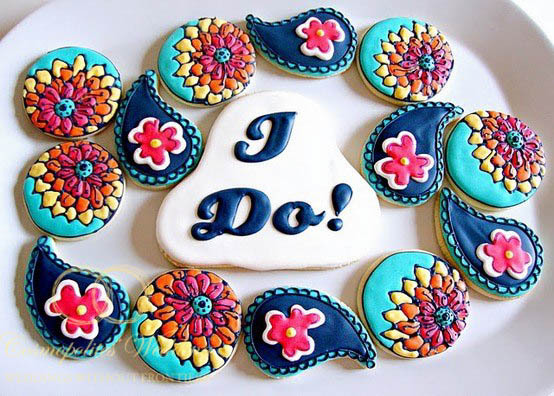 We can provide beautiful favor options from delicious Belgian truffles or silk-bag with sugared almonds, to Czech specialty, traditional small wedding cakes from leavened dough with various fillings (poppy, nut, apple, and plum). 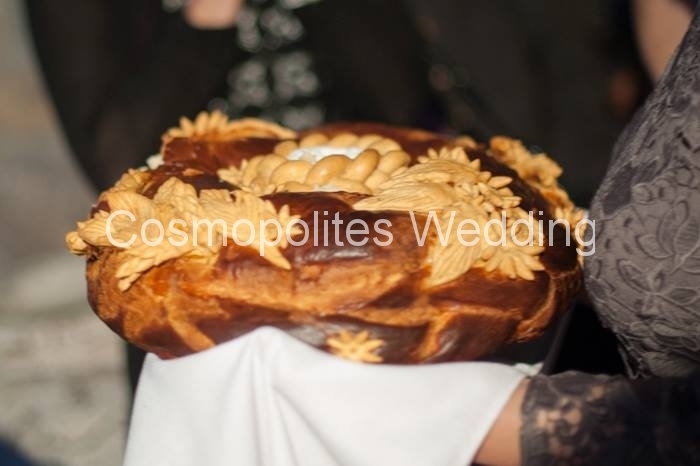 For more information and prices please inquire with Cosmopolites’ Wedding Agency.